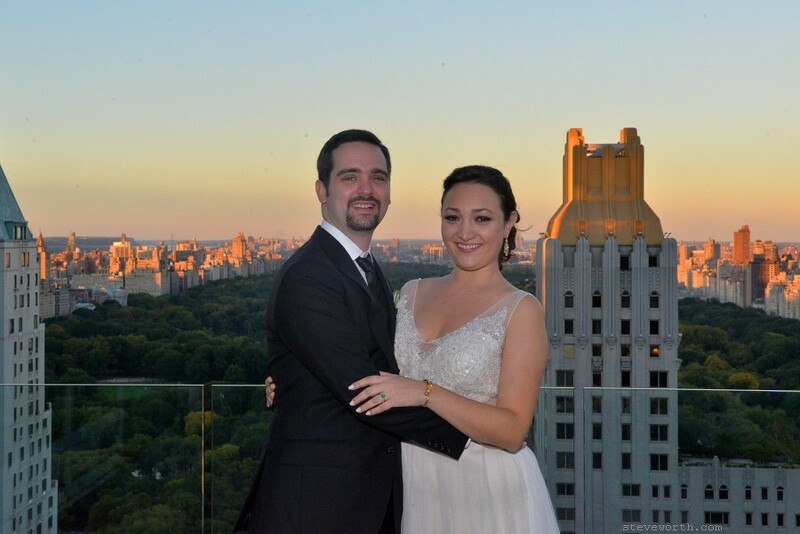 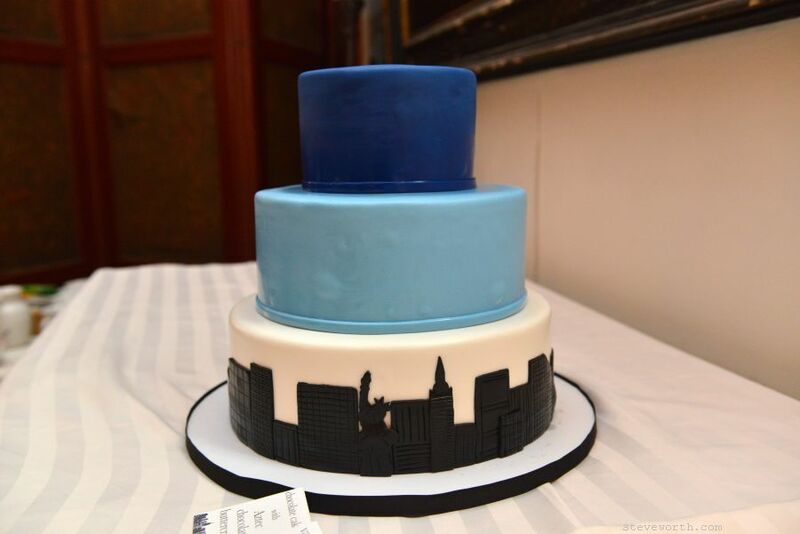 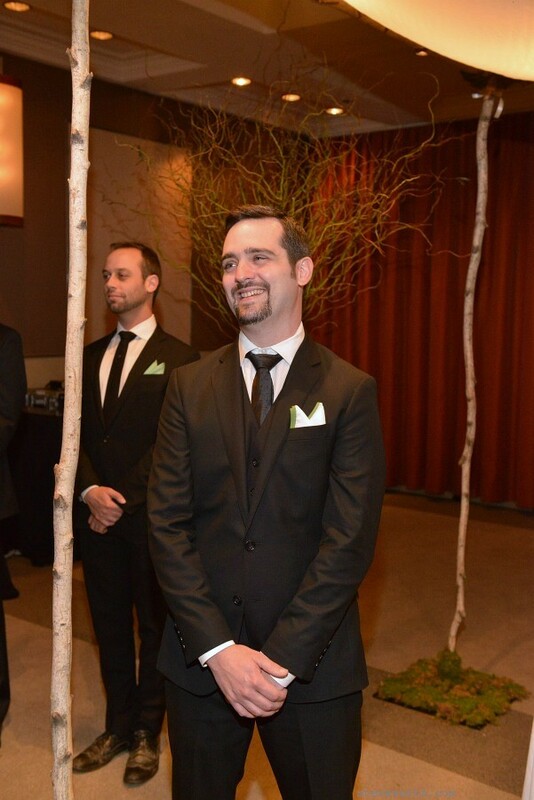 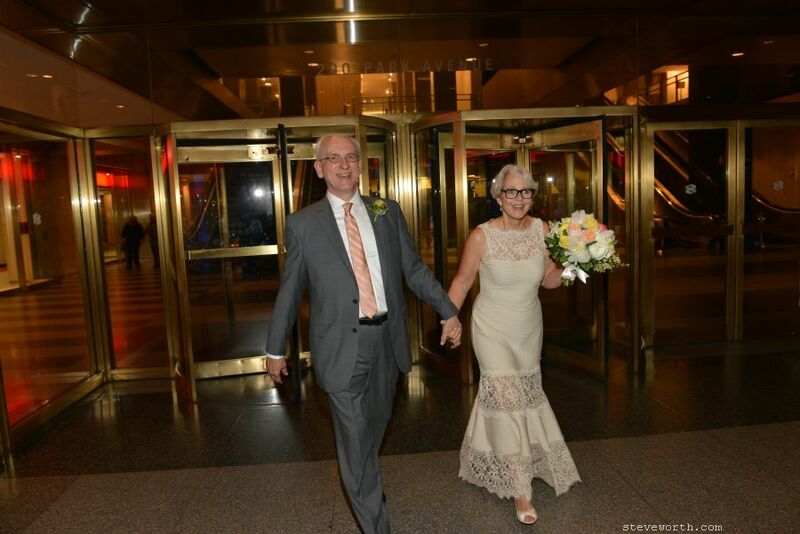 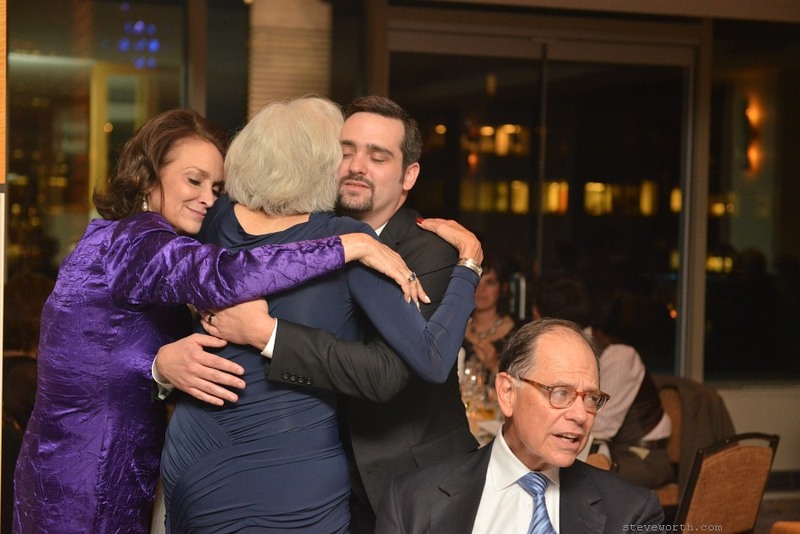 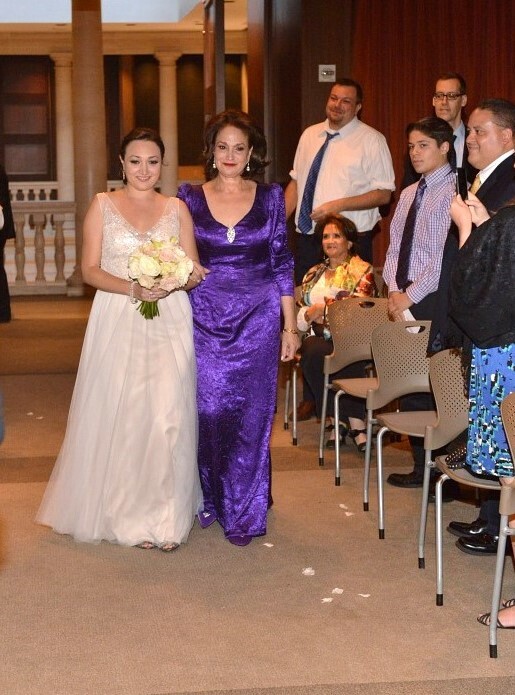 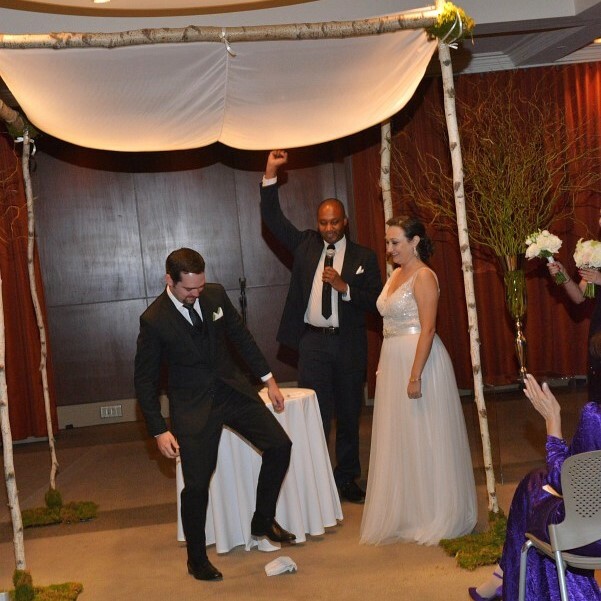 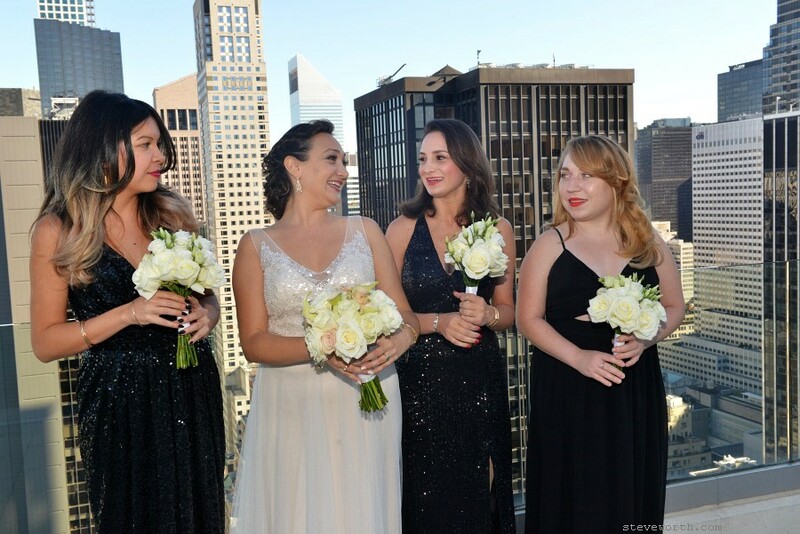 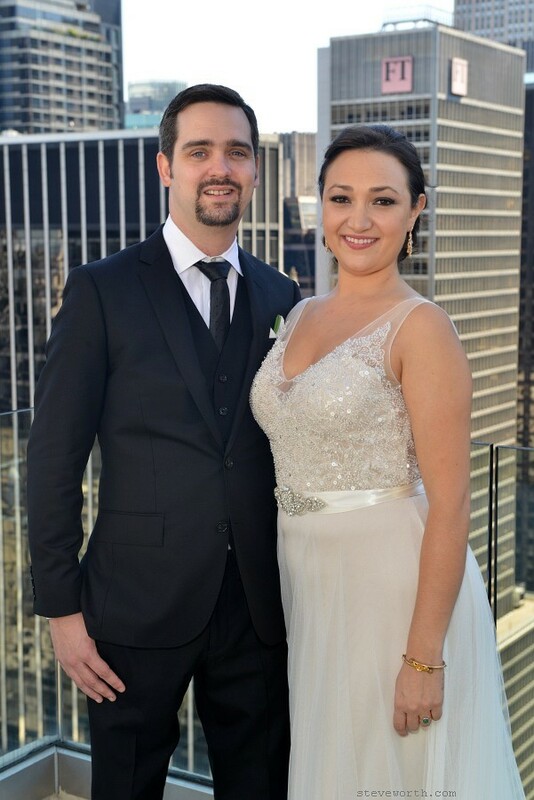 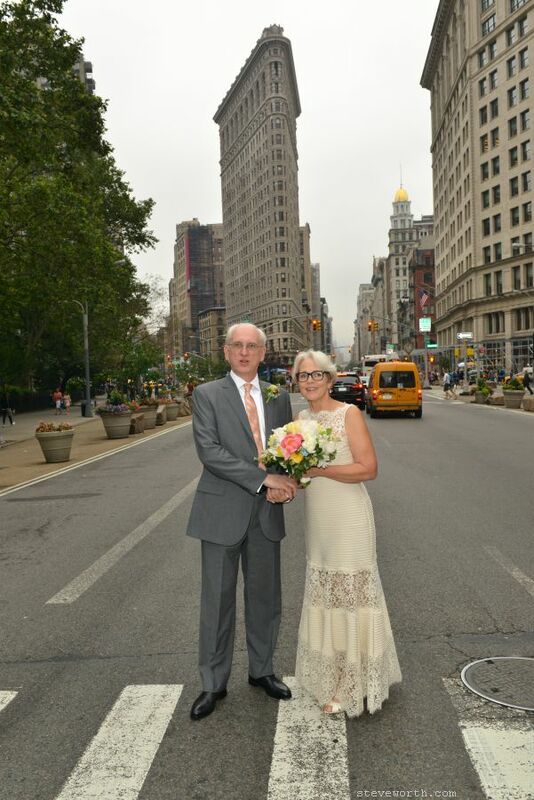 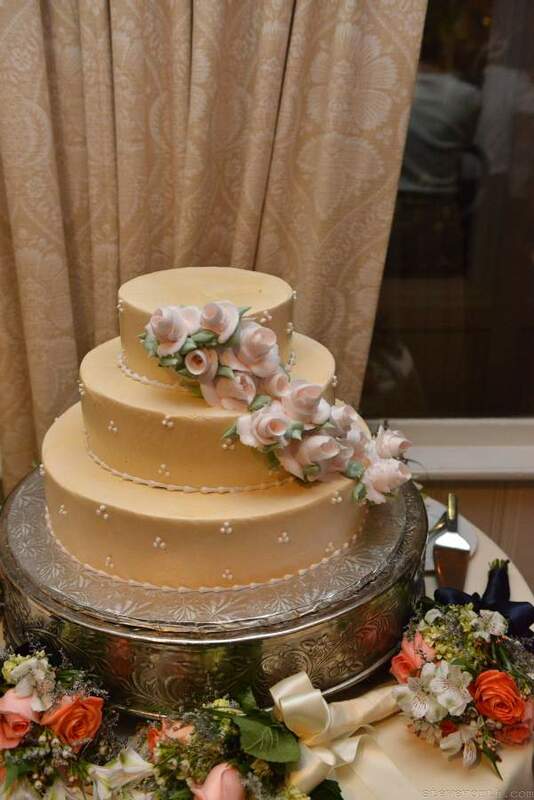 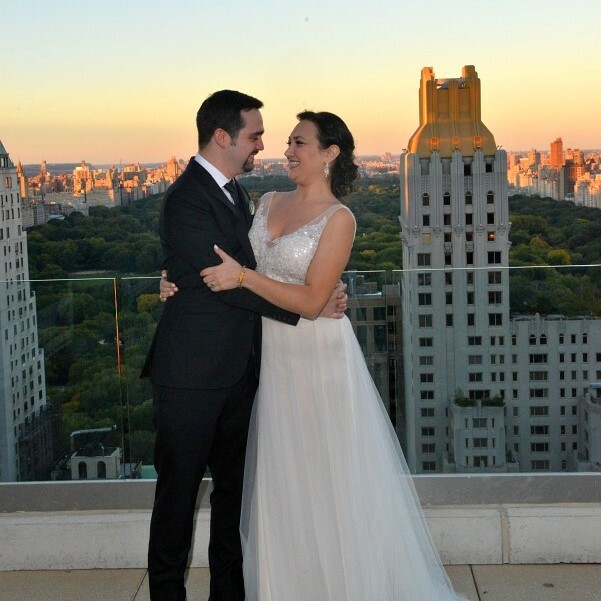 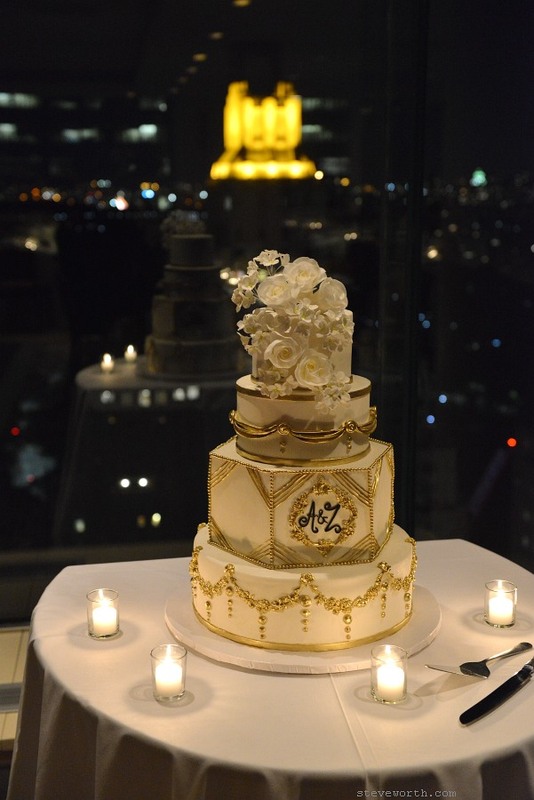 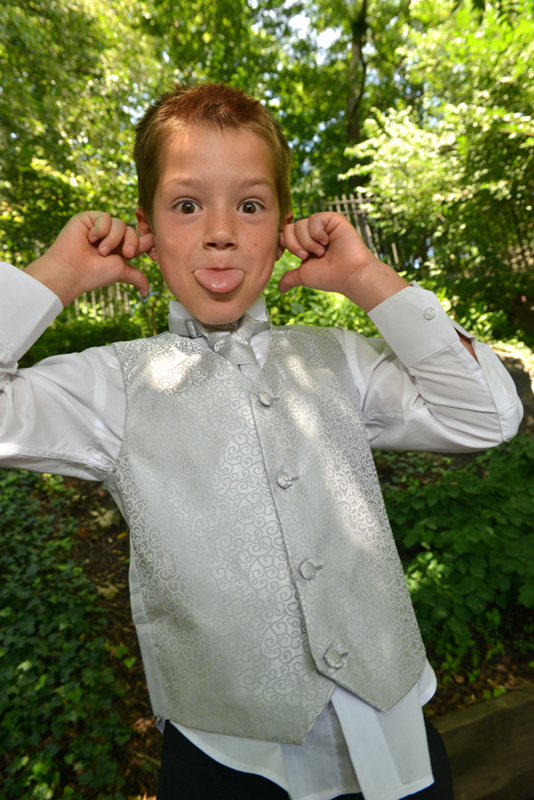 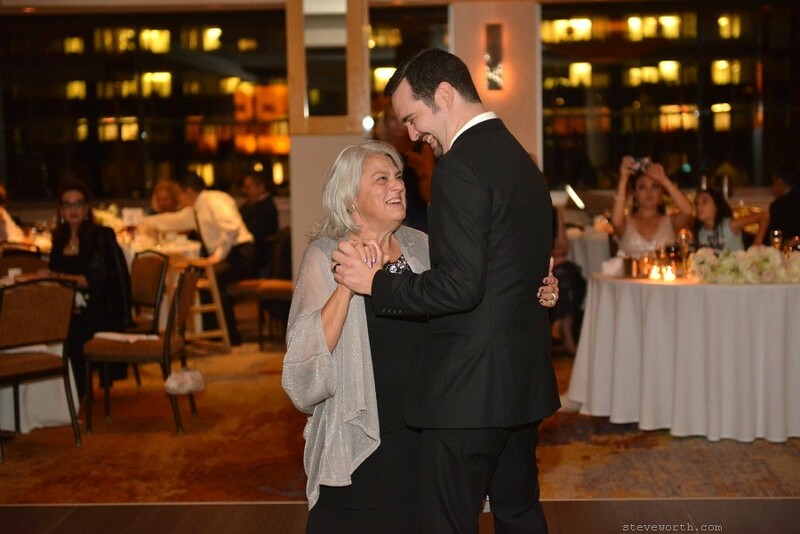 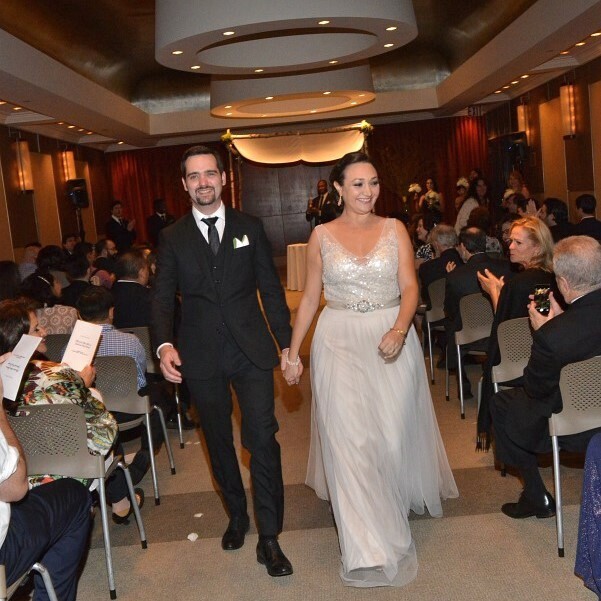 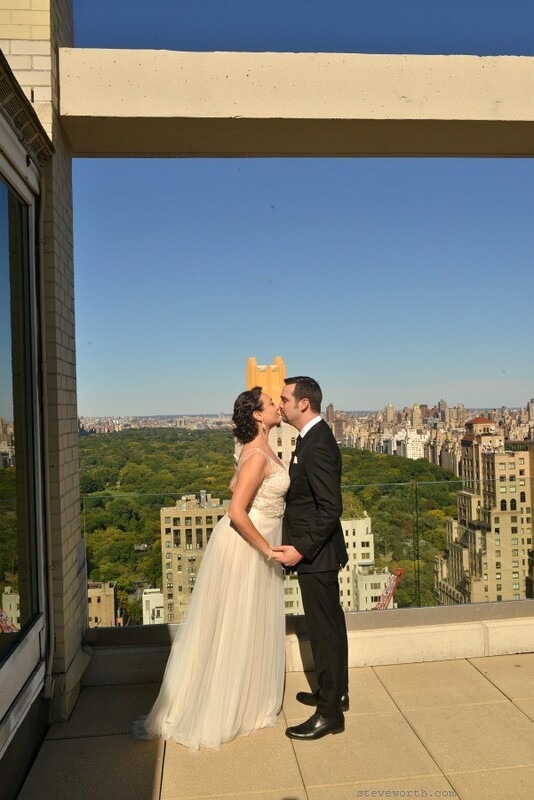 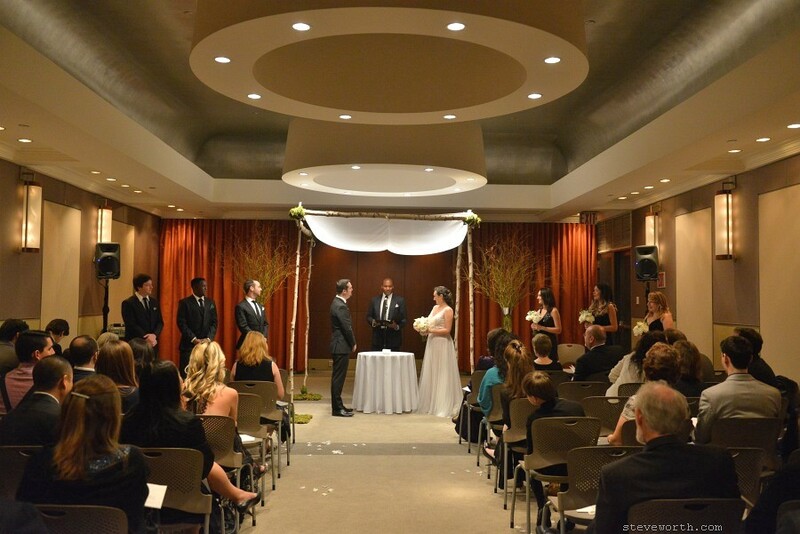 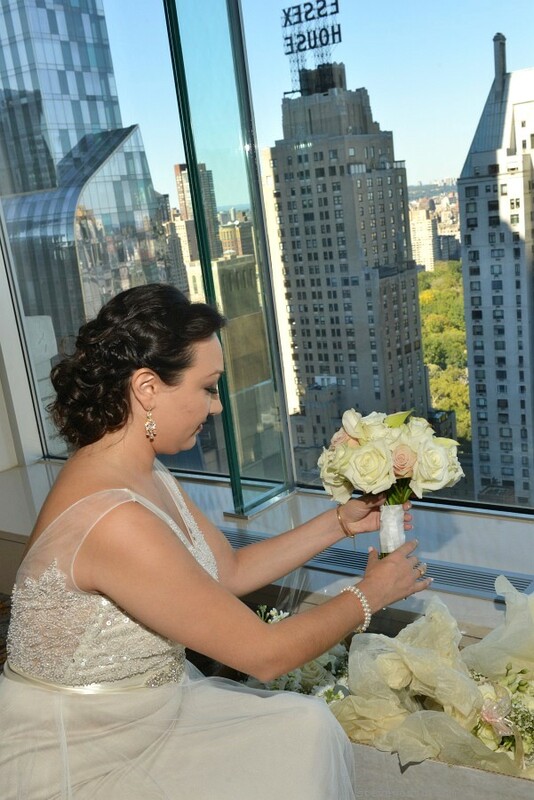 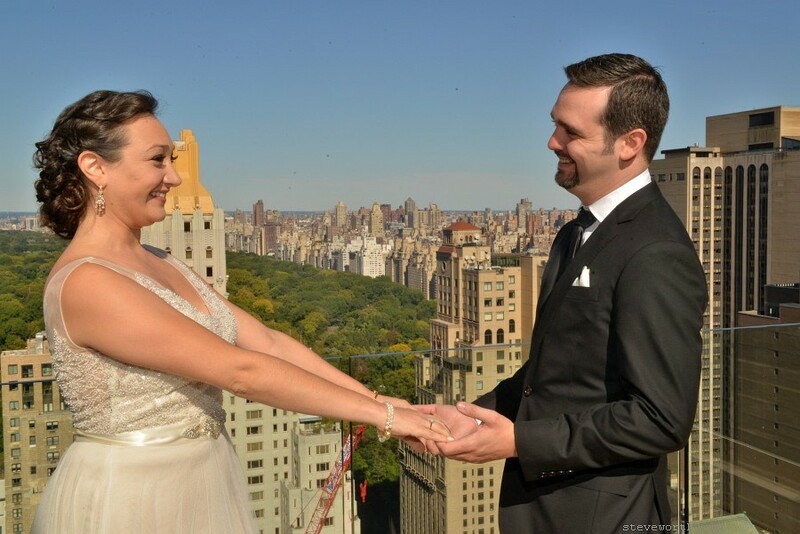 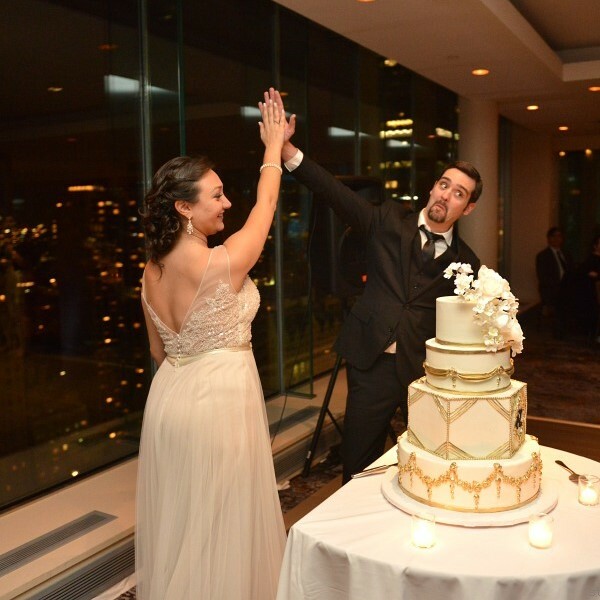 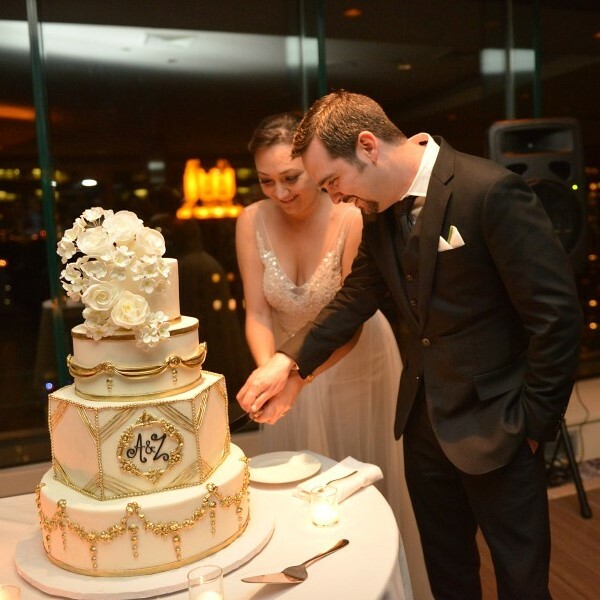 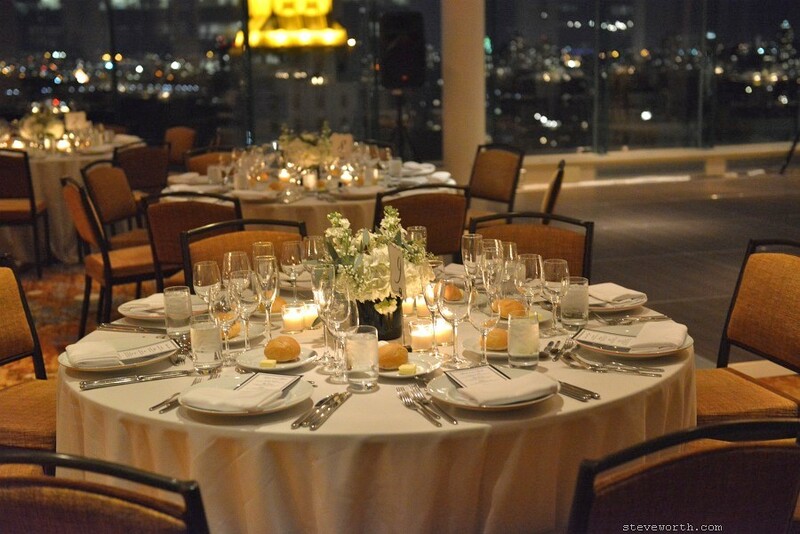 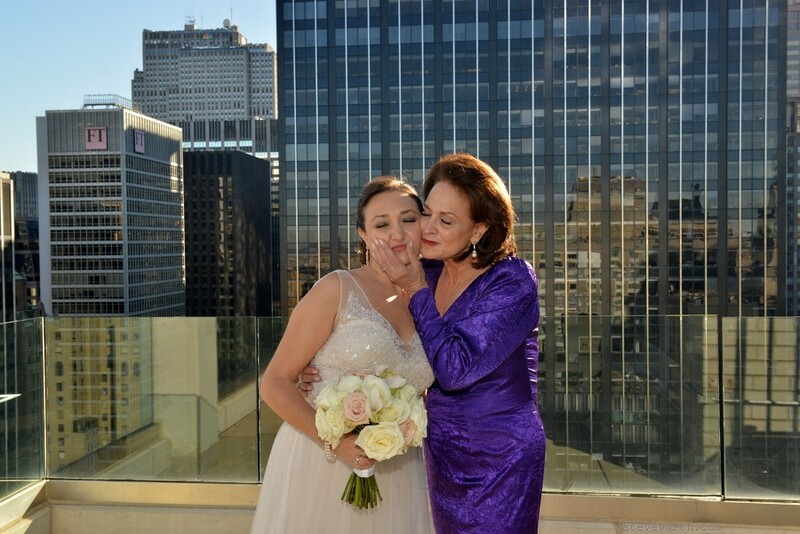 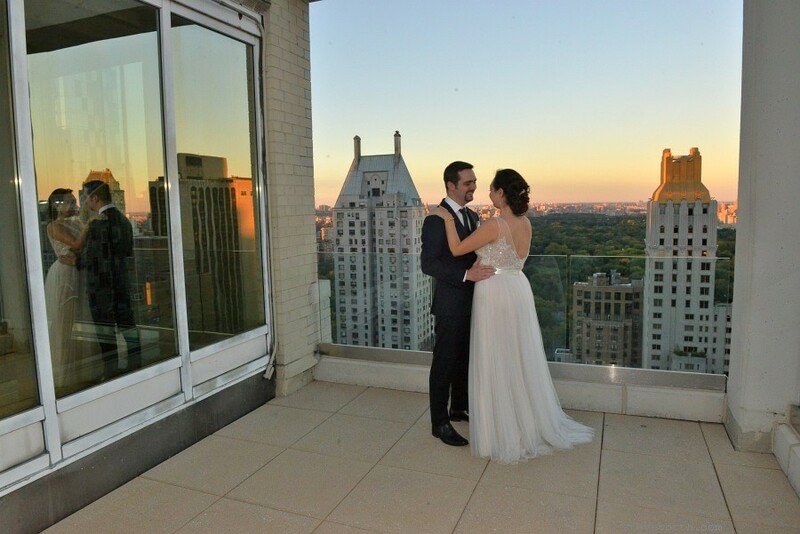 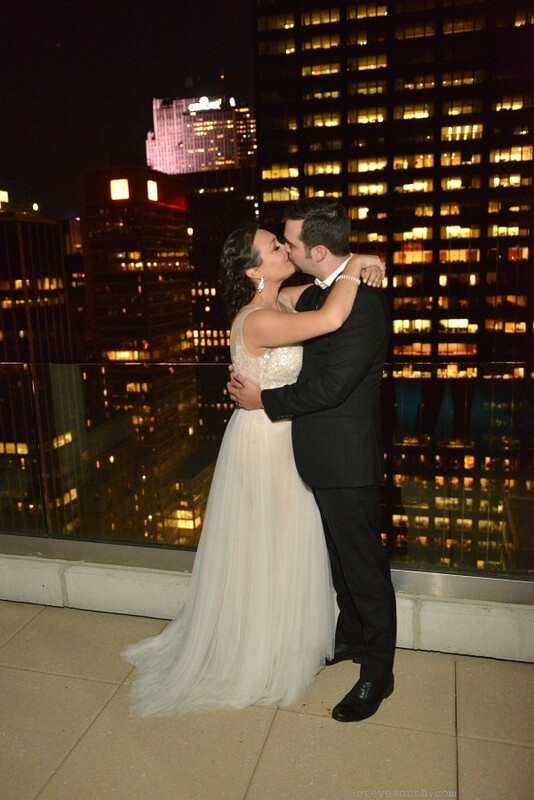 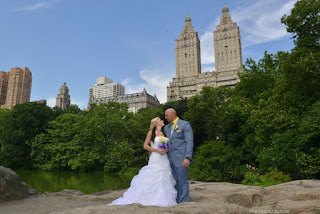 Zach and Lexi were married this October at Le Parker Meridien Hotel in Manhattan! 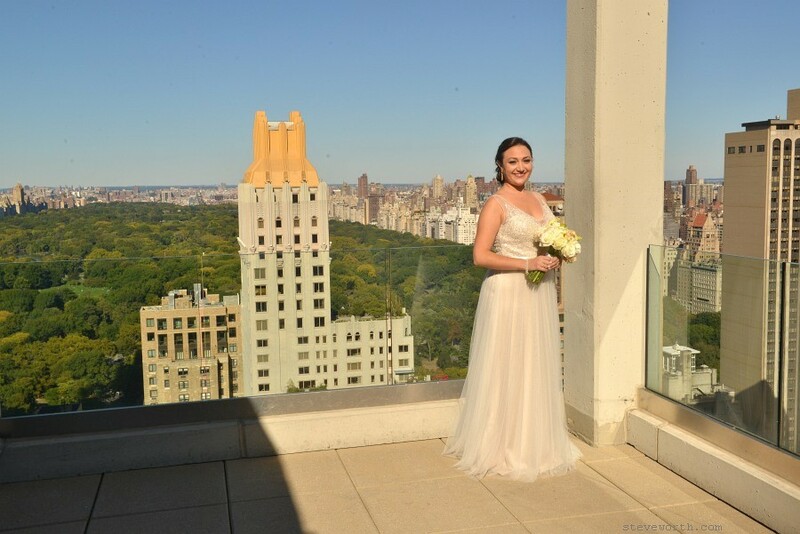 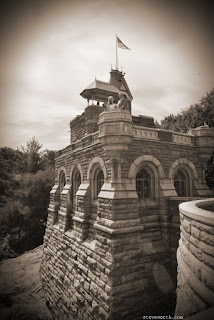 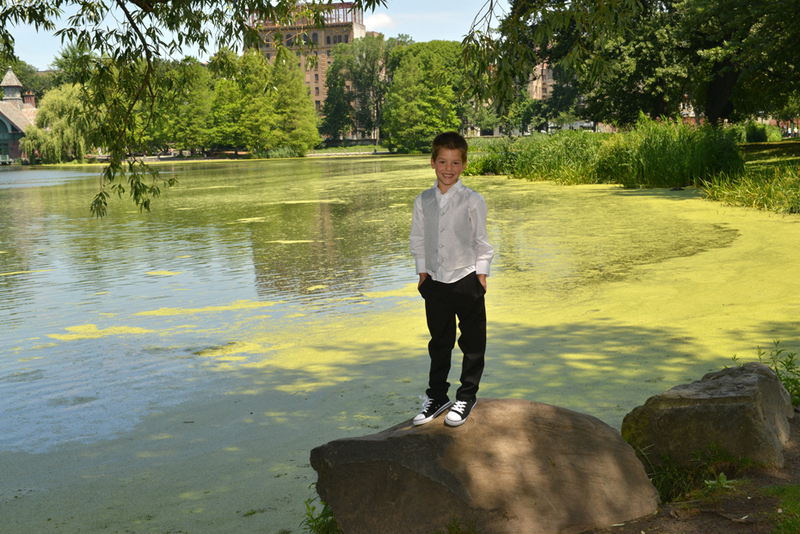 It was great to take photos there with wonderful views of the city and overlooking Central Park! 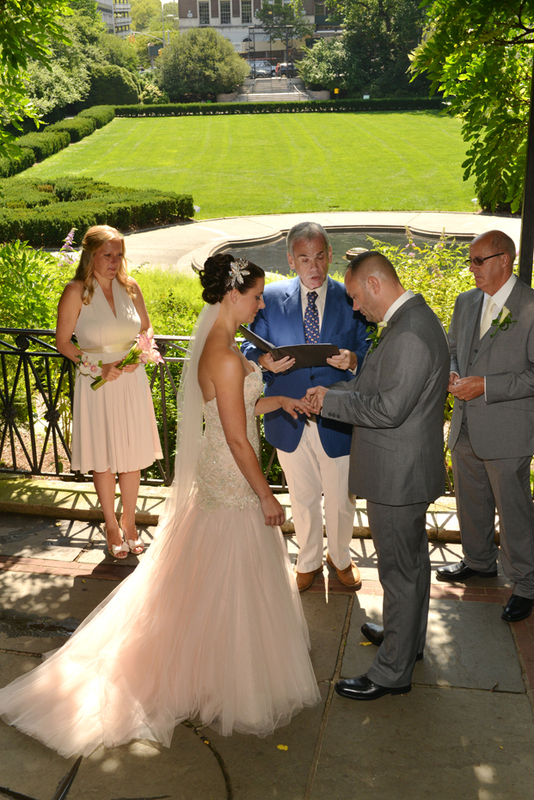 Take a look at some favorite photos from their day. 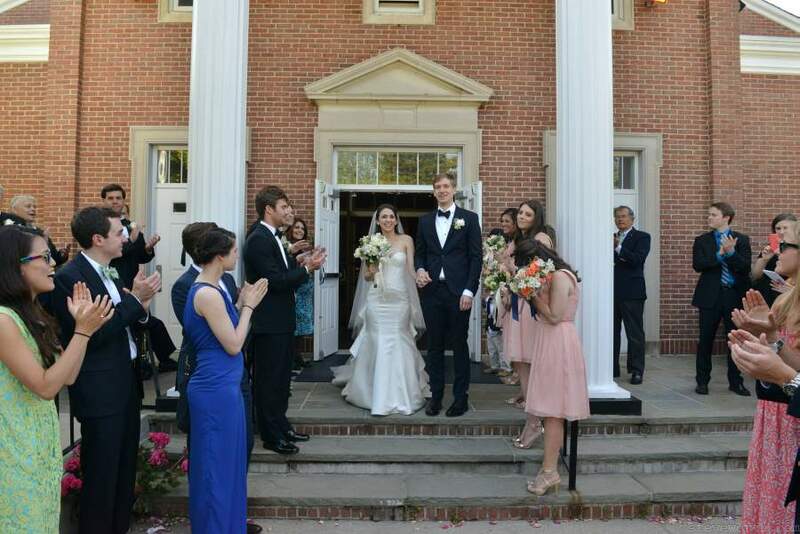 Congratulations to Zach and Lexi! 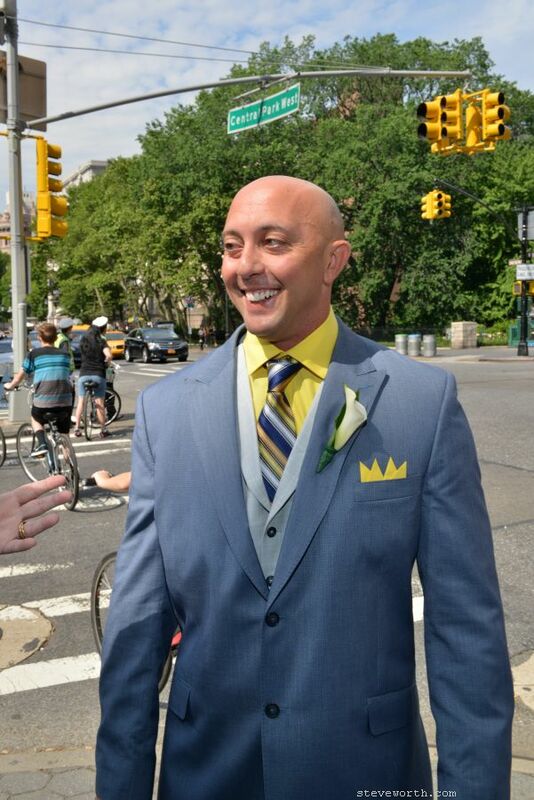 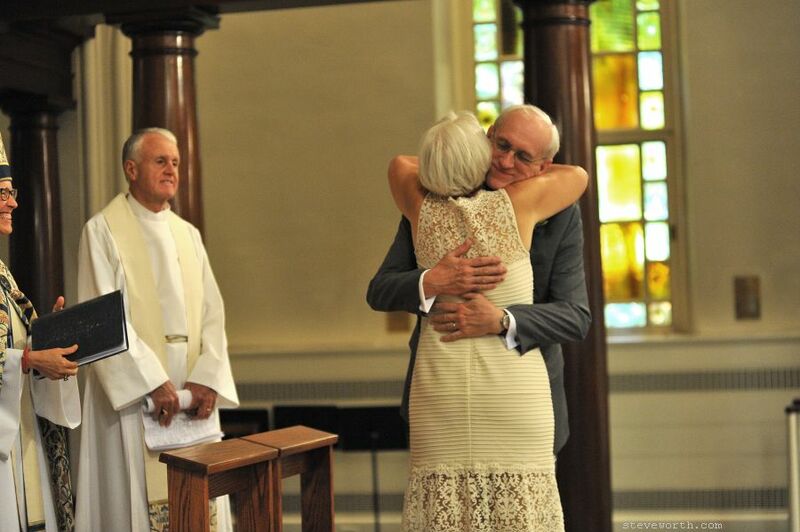 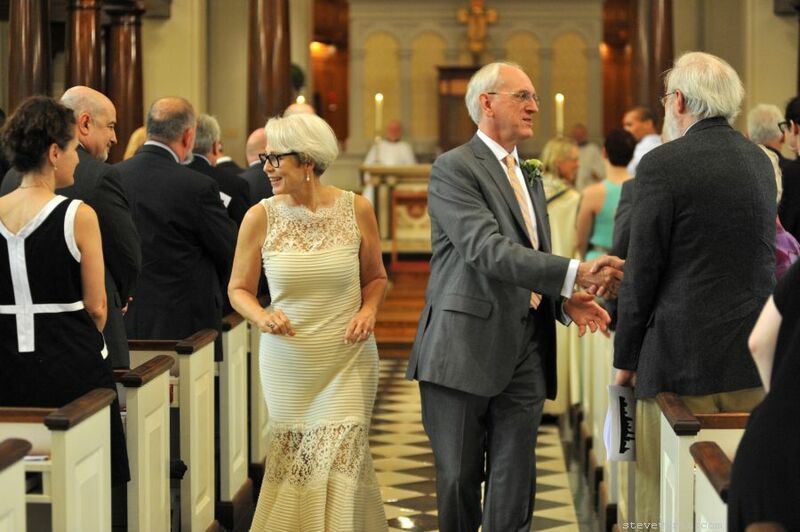 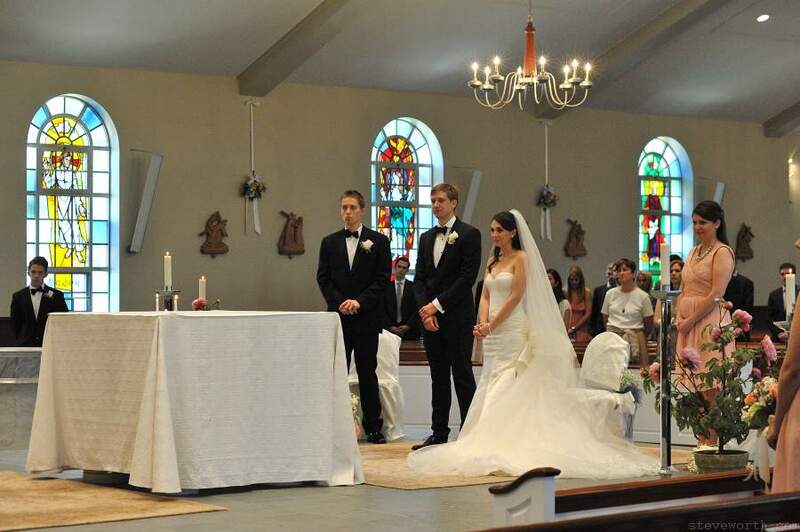 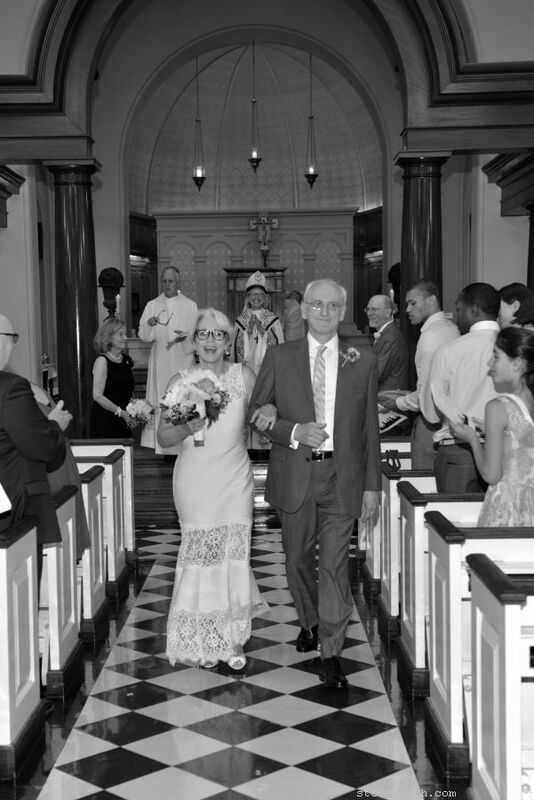 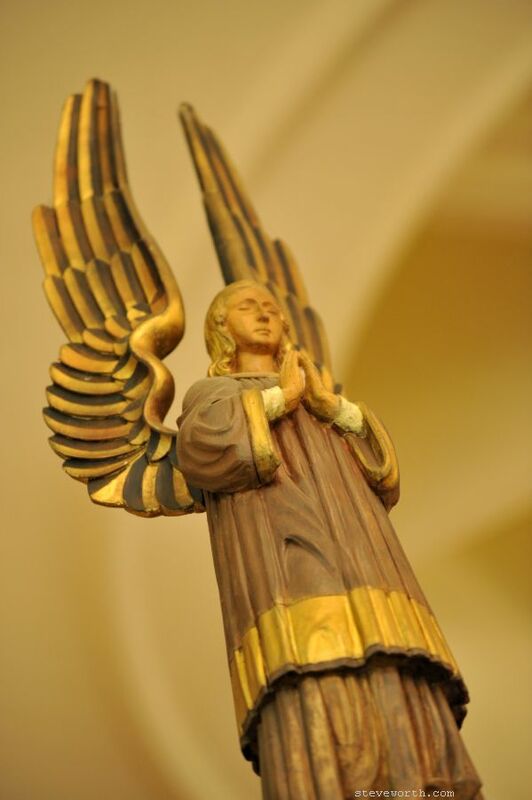 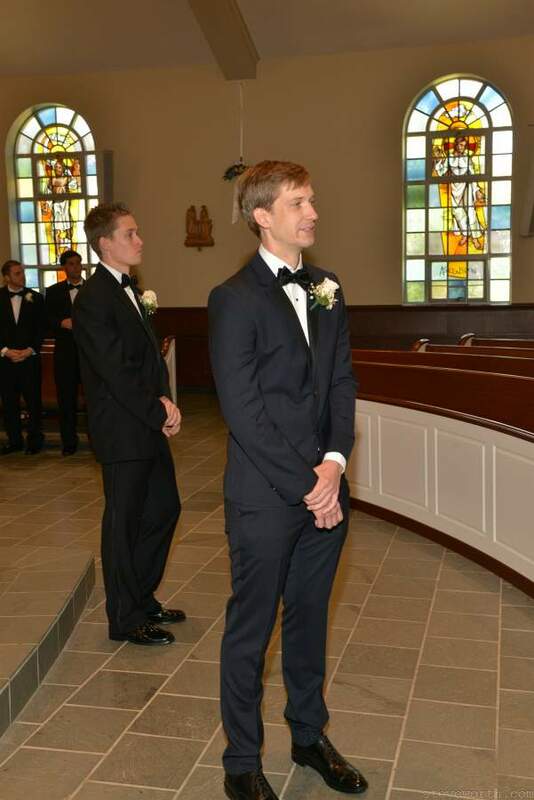 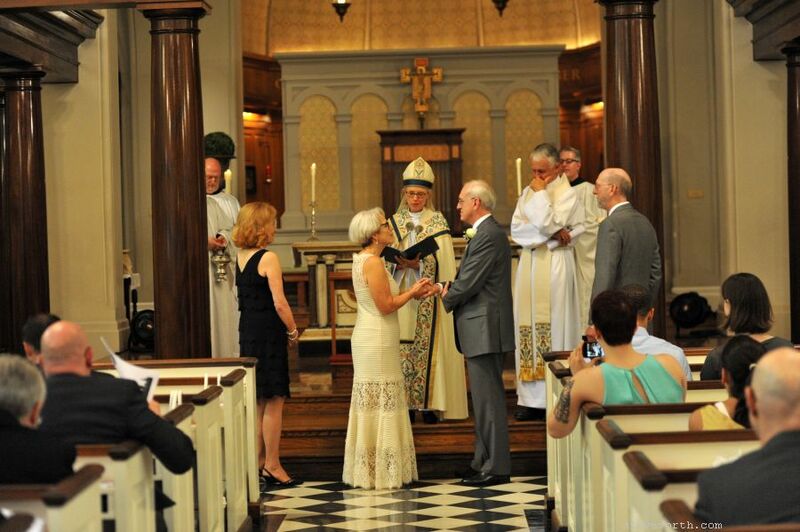 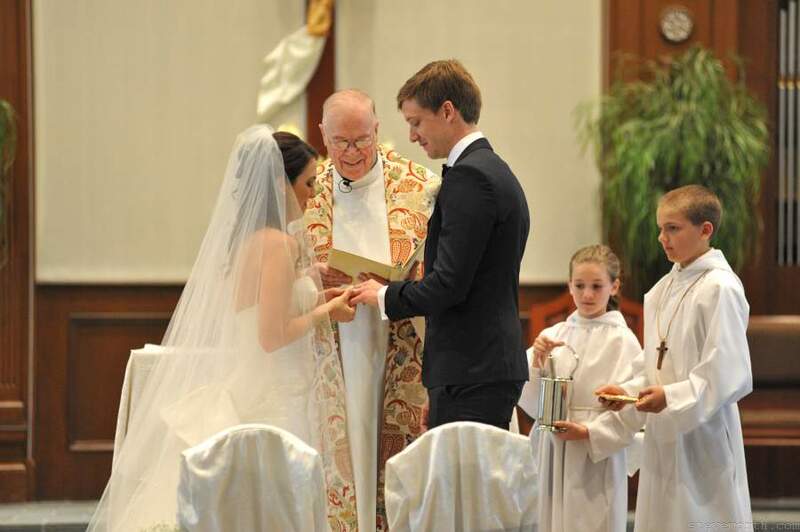 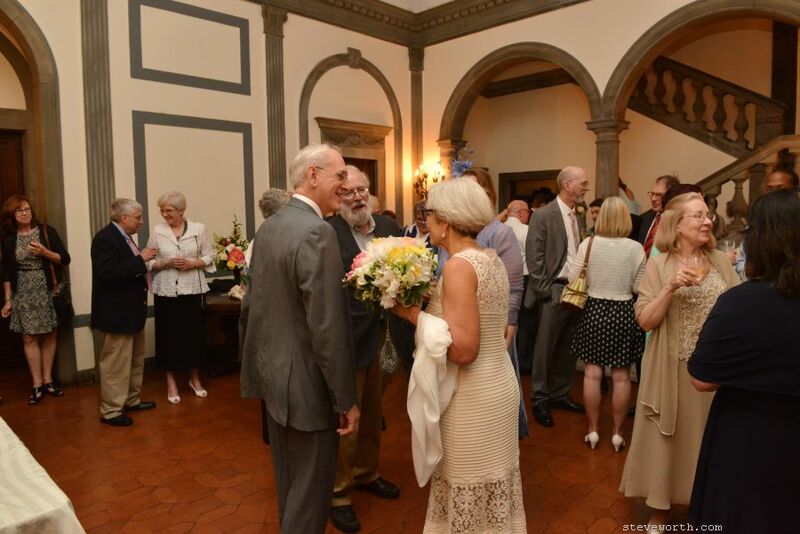 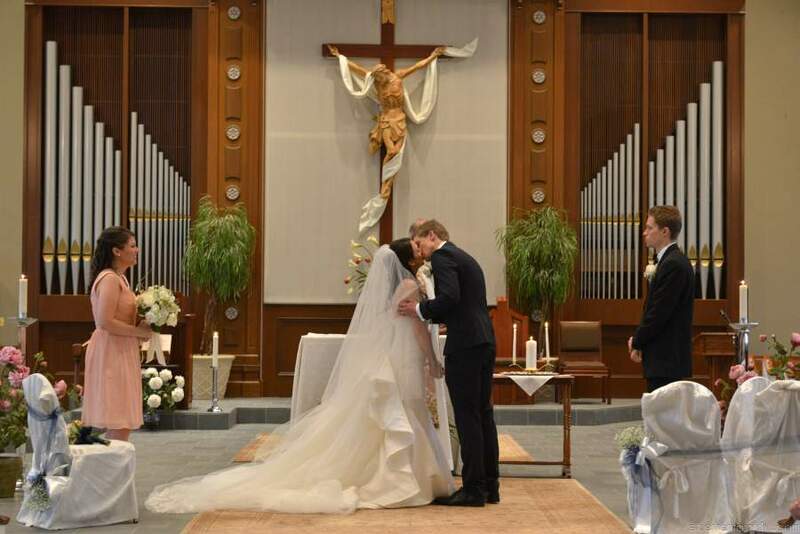 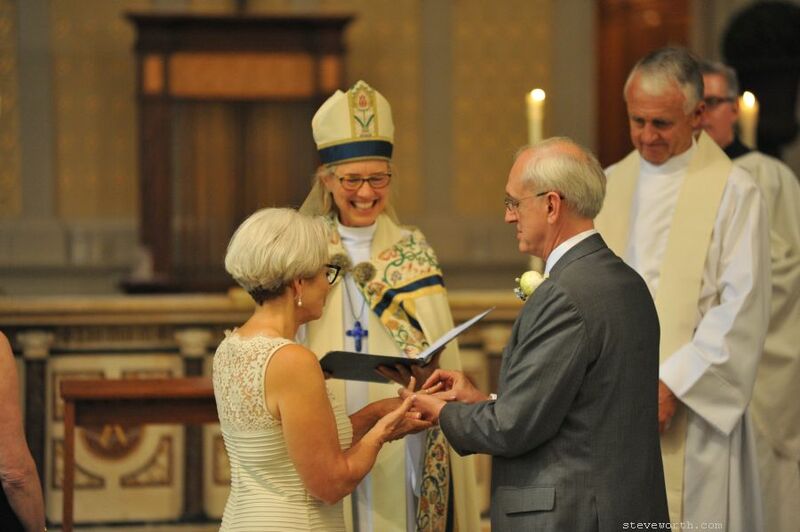 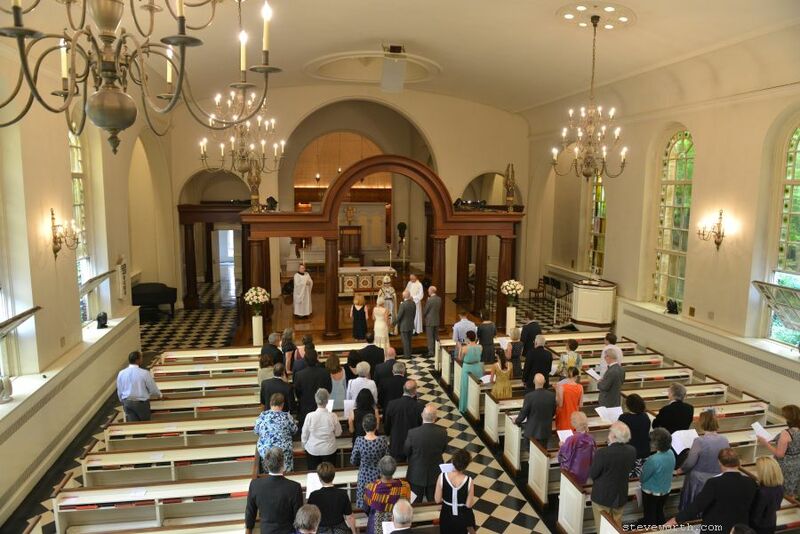 Kris and Paul were married June 20th at The Church of St. Luke. 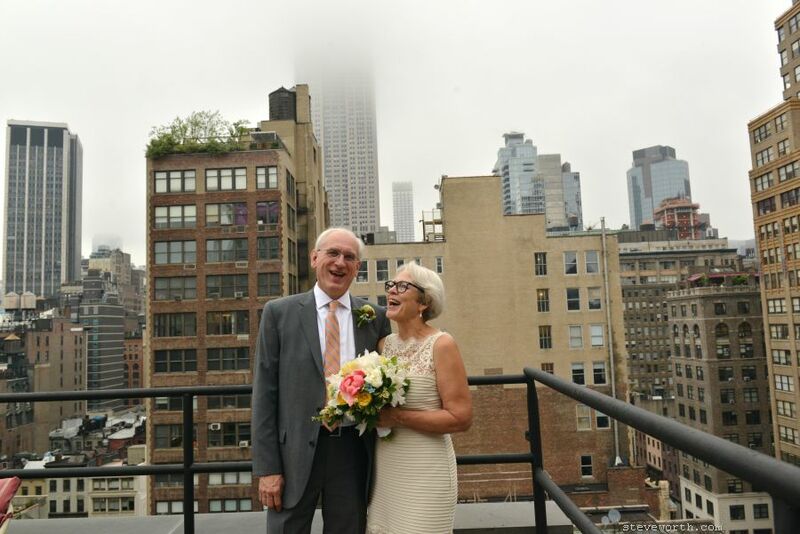 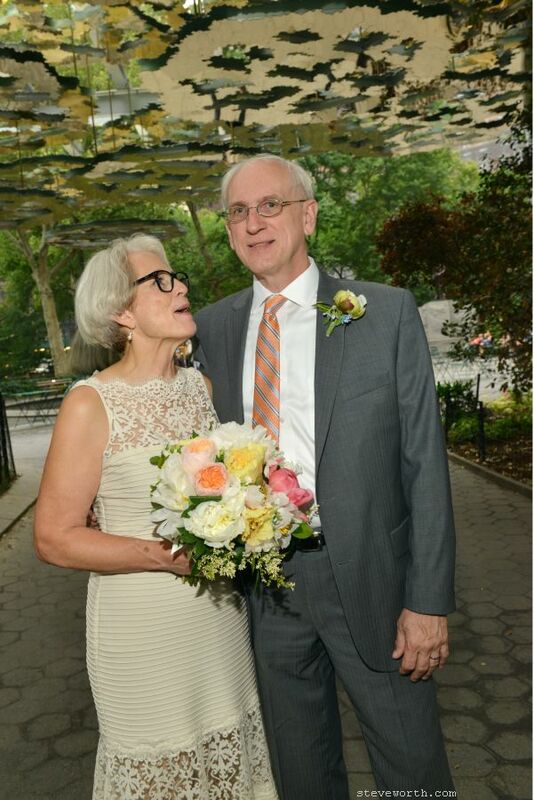 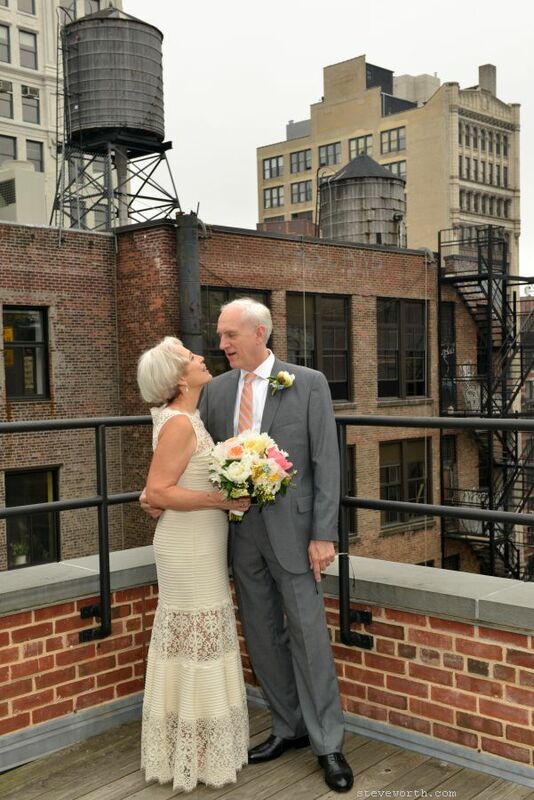 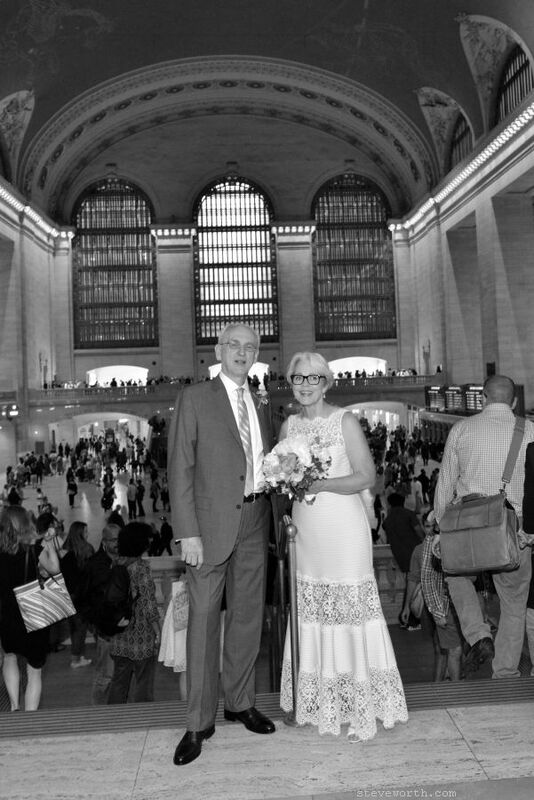 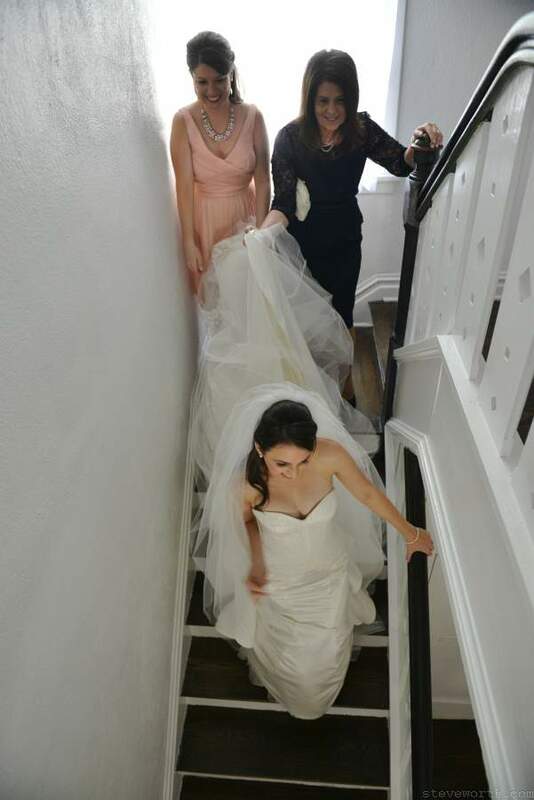 We started at the High Line Hotel, a place which used to be part the General Theological Seminary, and in fact the bride studied there! 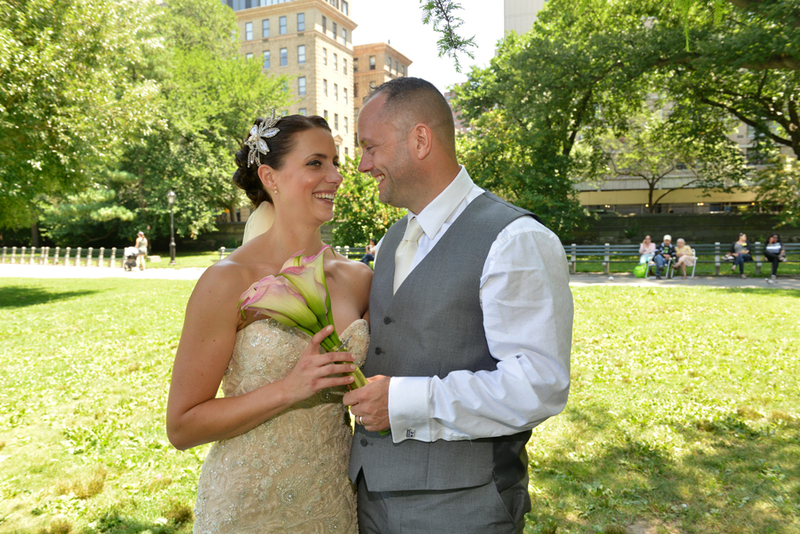 We also did their engagement shoot on the High Line. 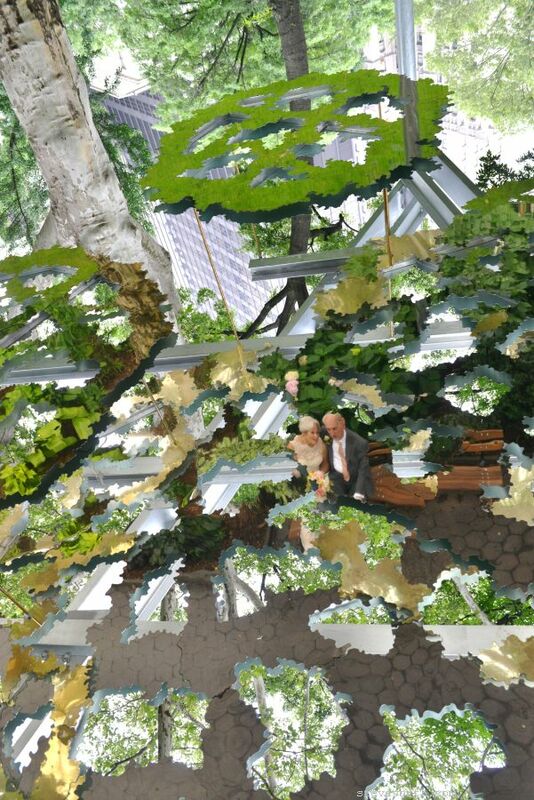 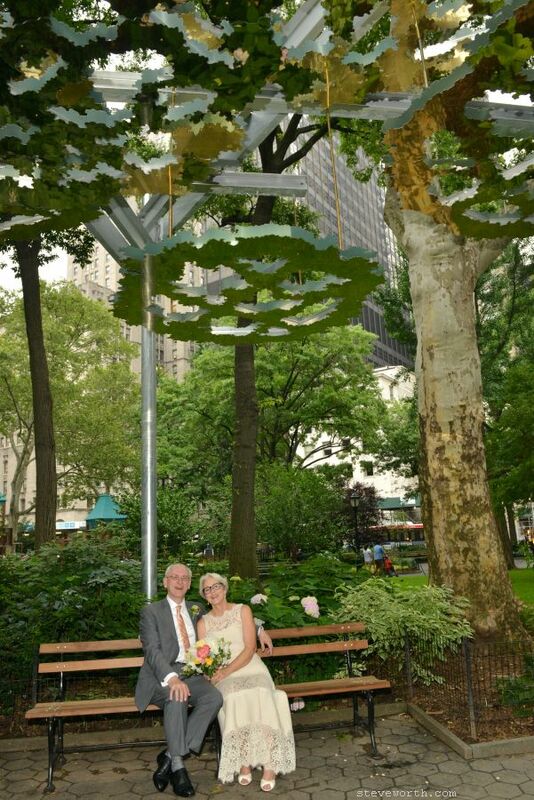 We made stops at Madison Square Park (including the Fata Morgana on installation), Flat Iron Building, the rooftop deck at our studio, and Grand Central on the way up to House of the Redeemer. 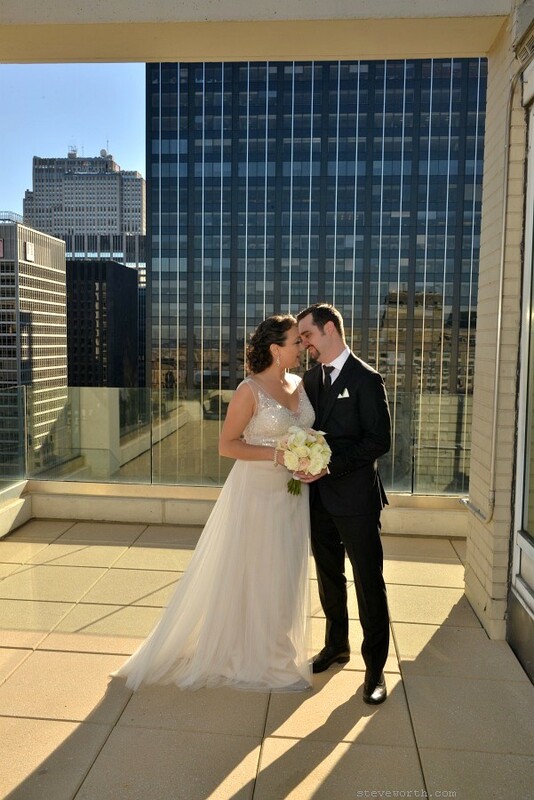 It was a great day, view some photos from the day below! 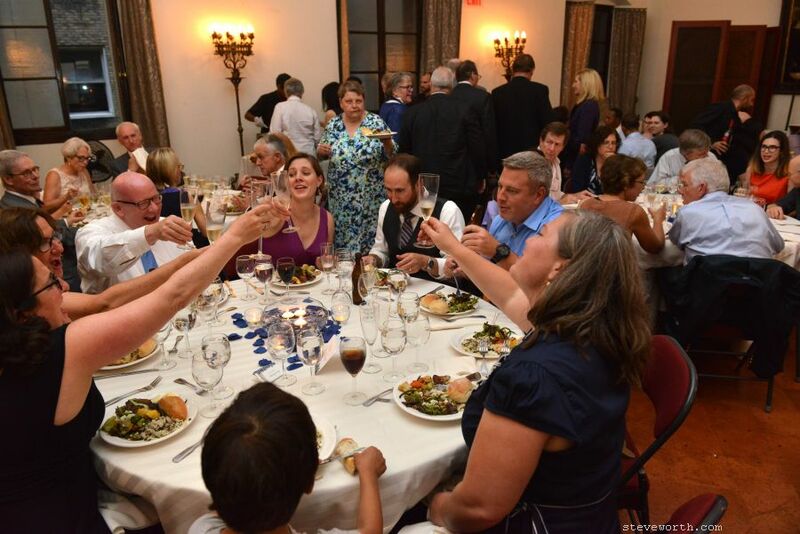 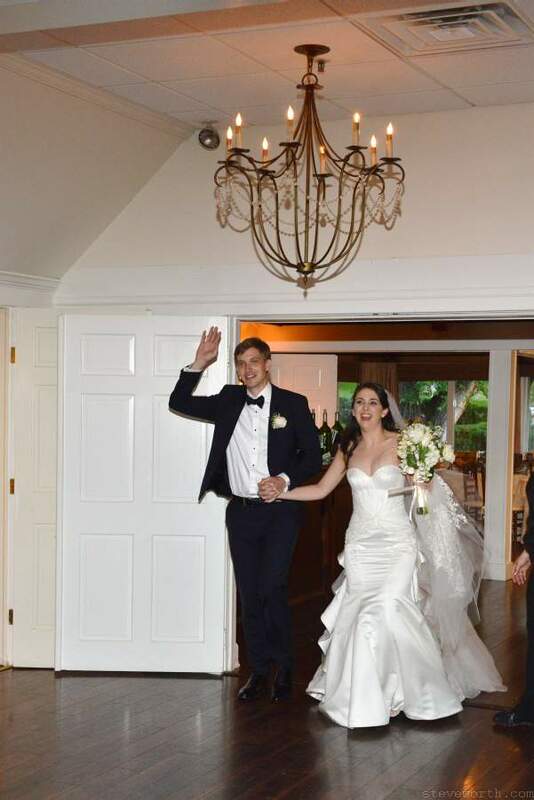 A toast, to the bride and groom! 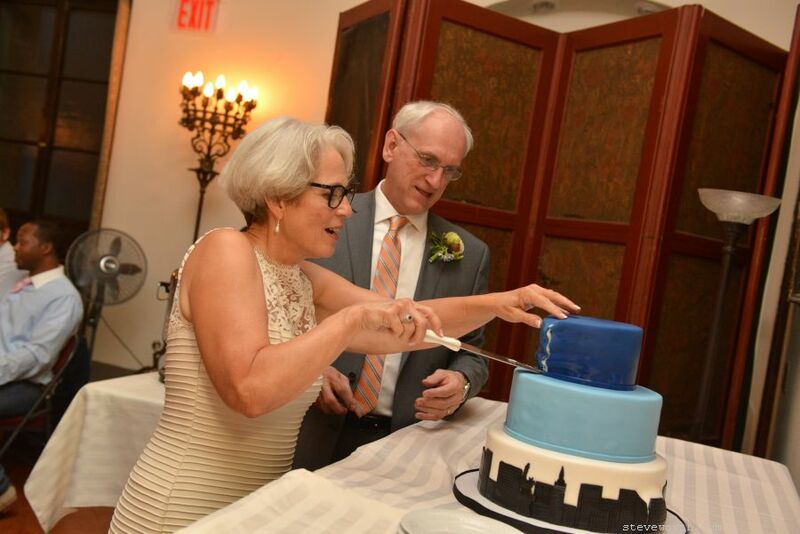 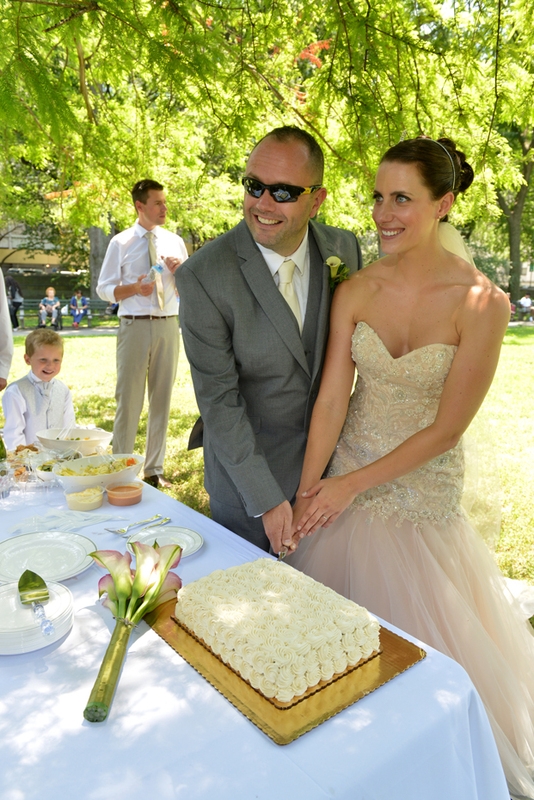 Kris and Paul, cutting their wedding cake! 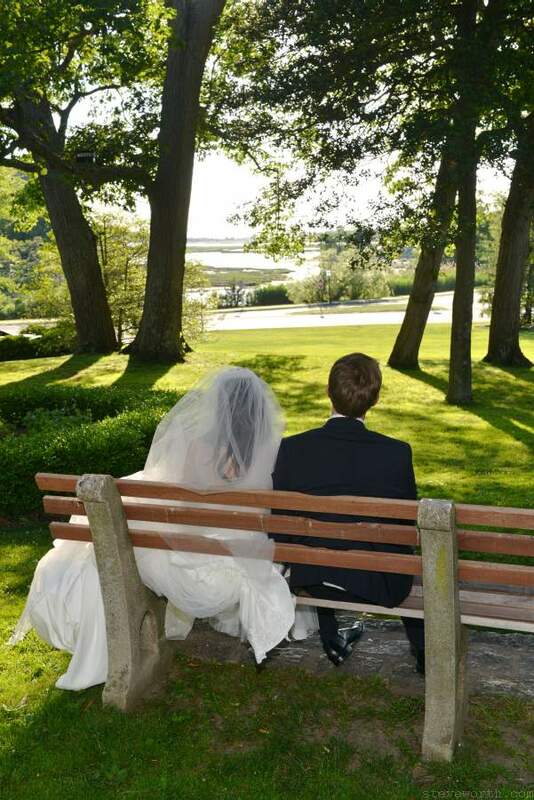 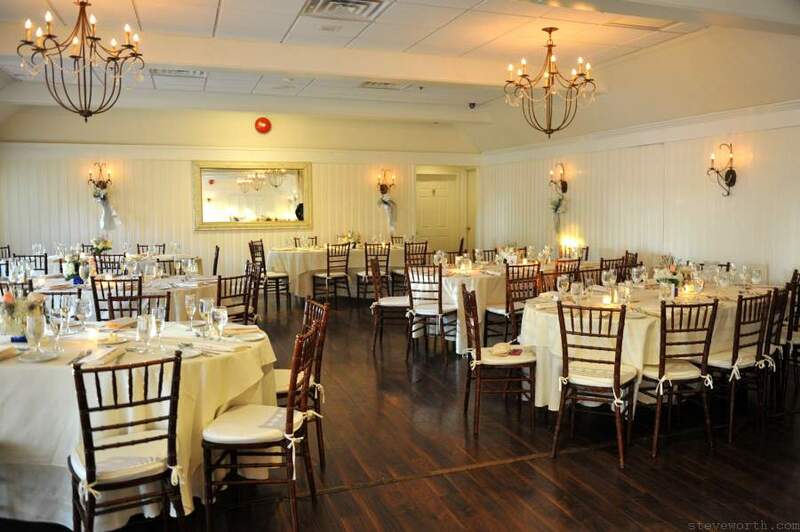 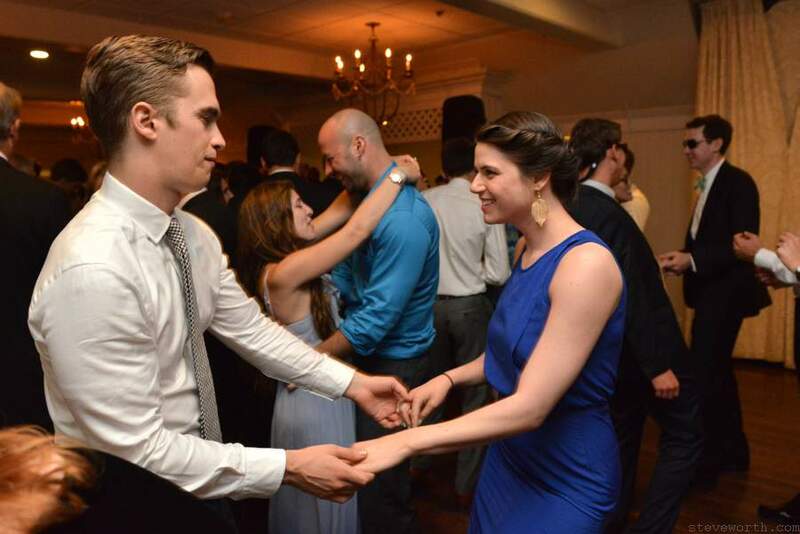 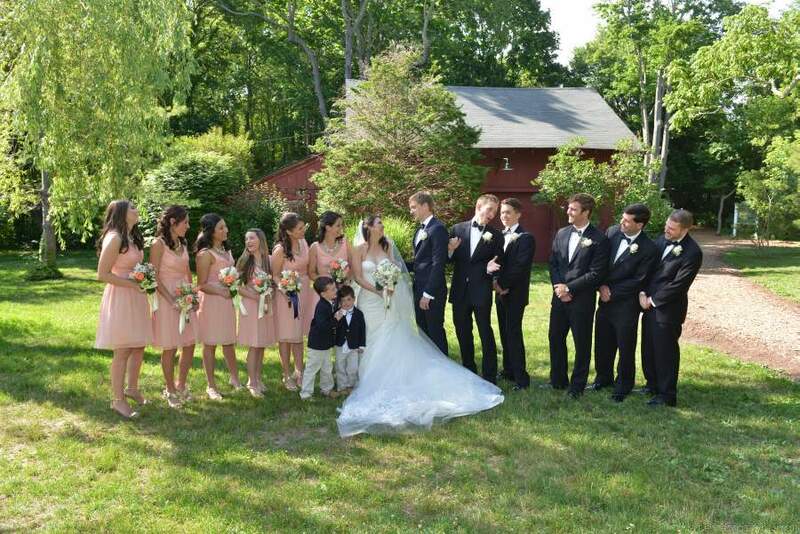 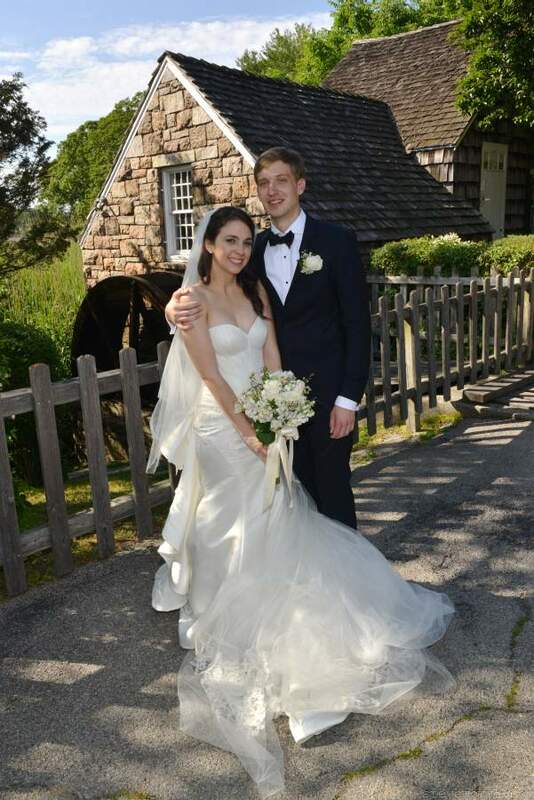 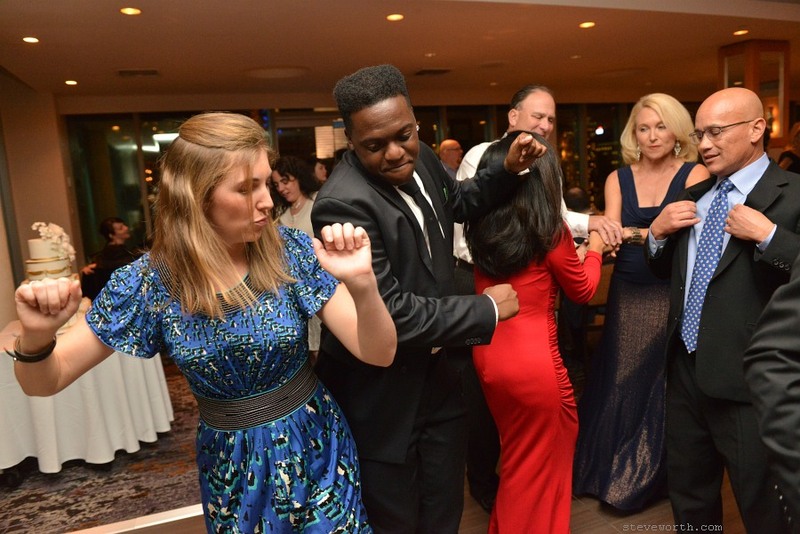 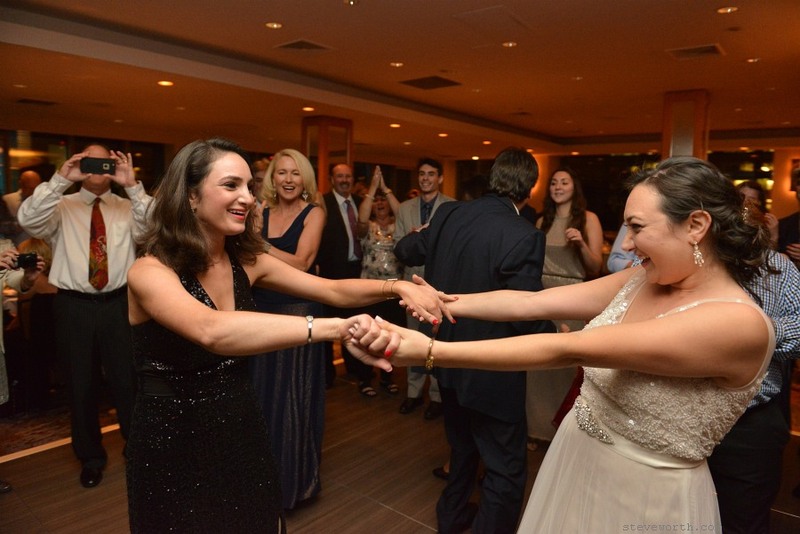 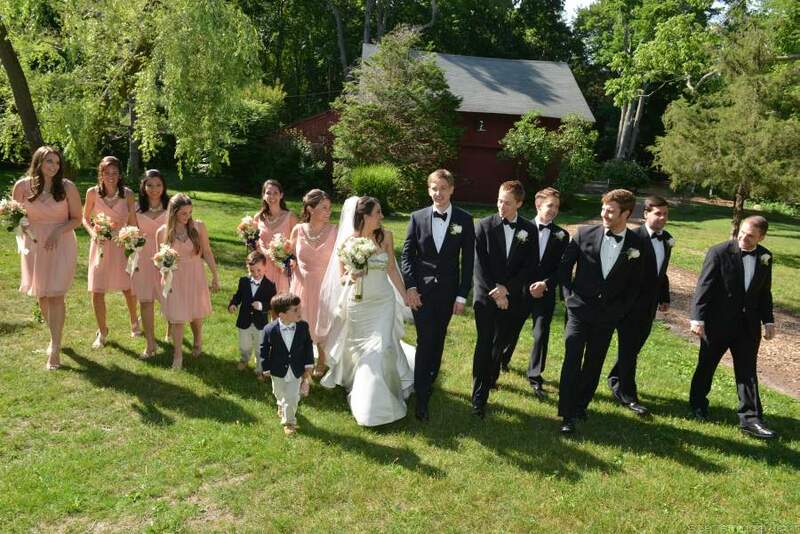 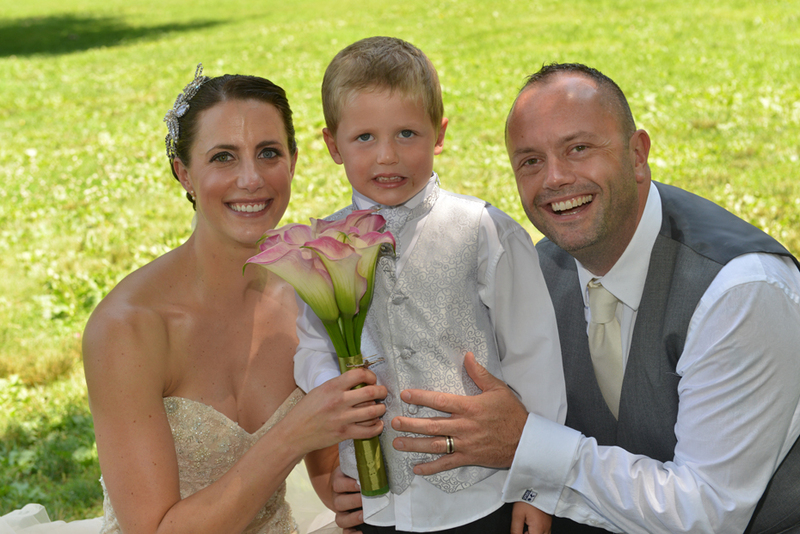 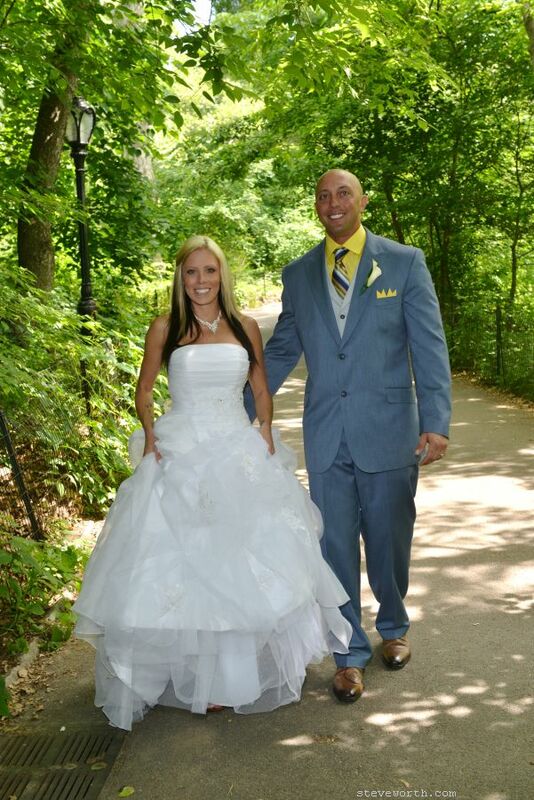 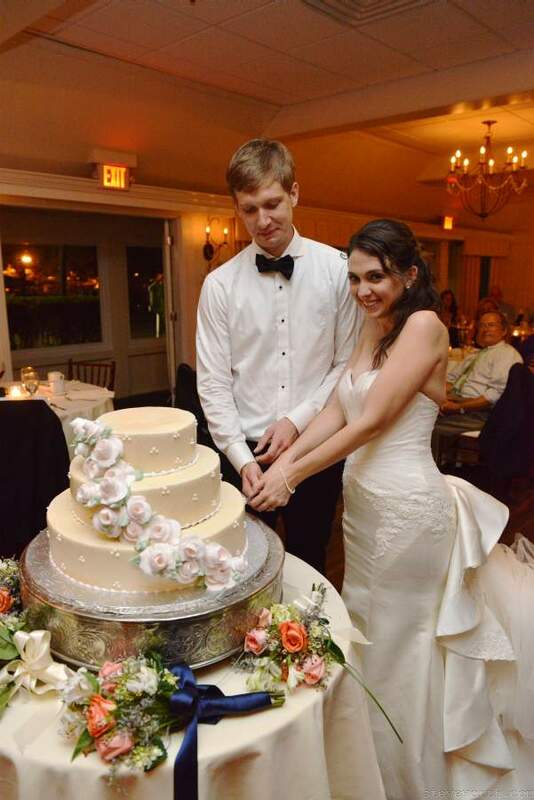 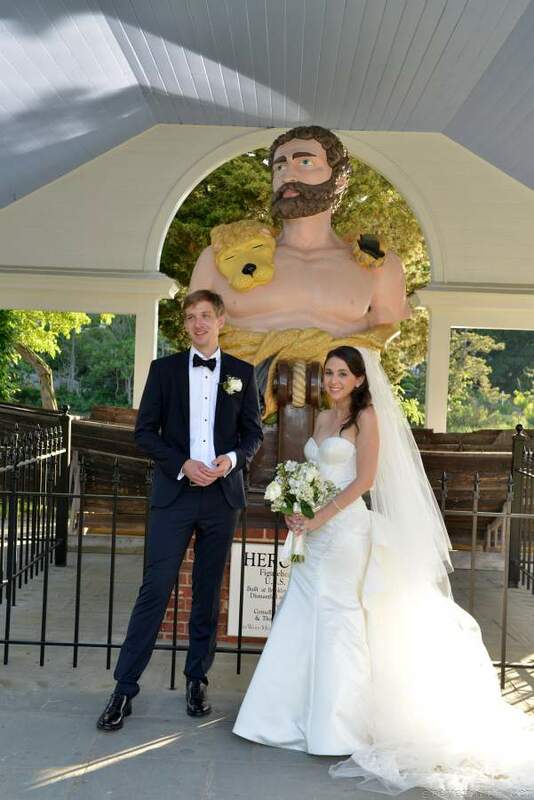 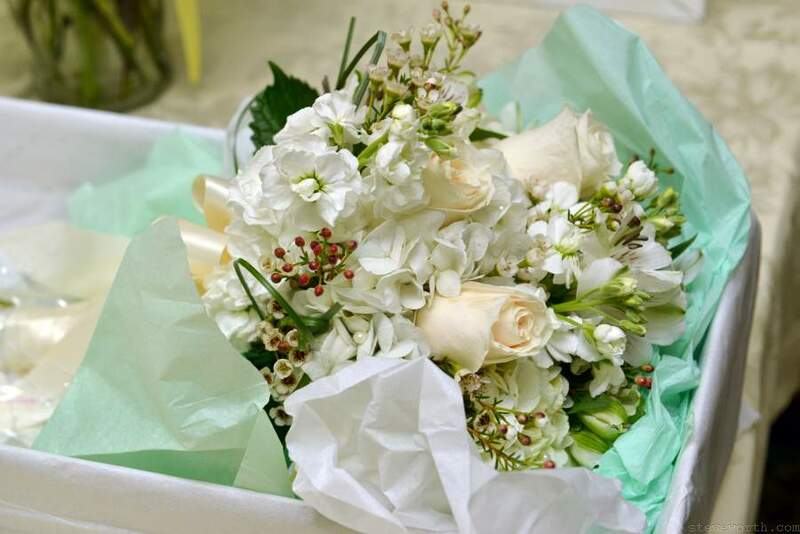 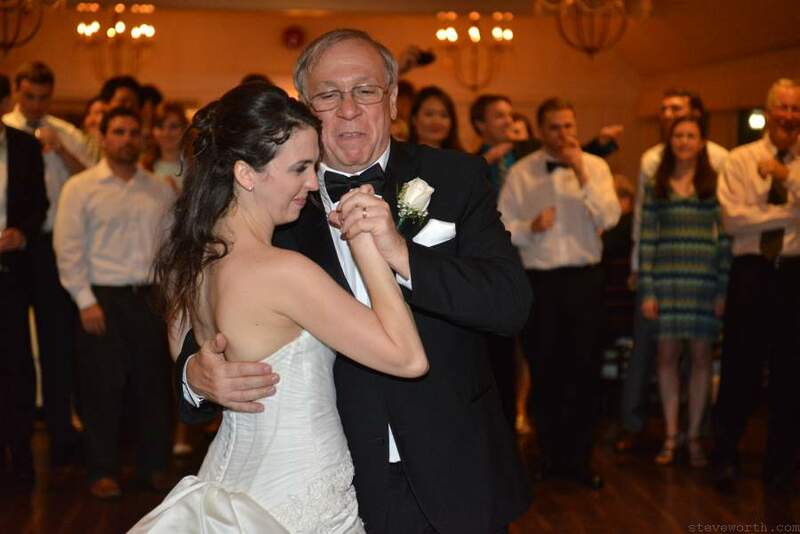 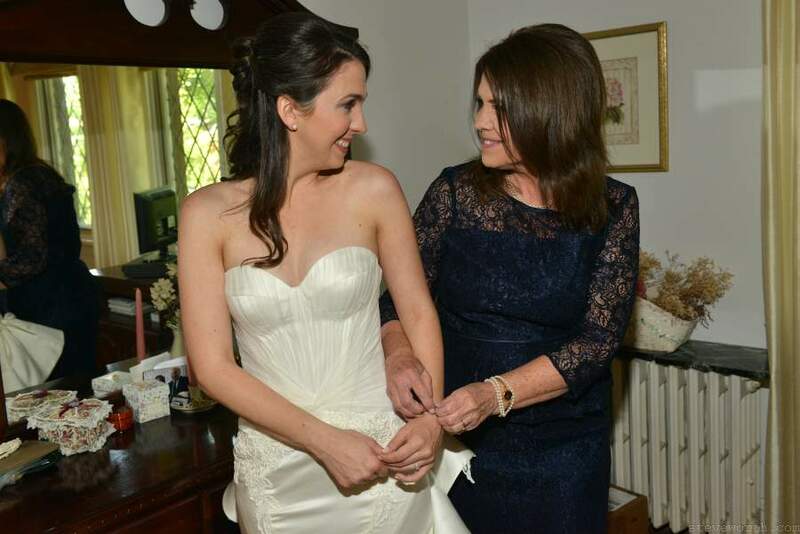 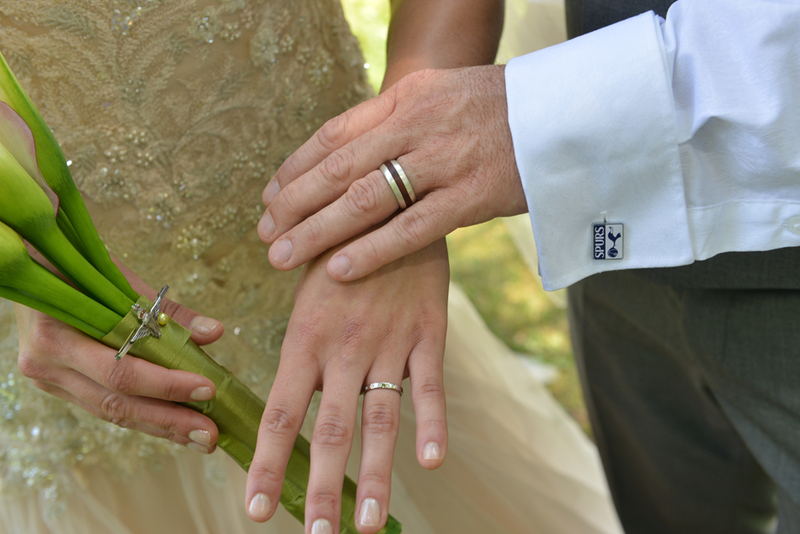 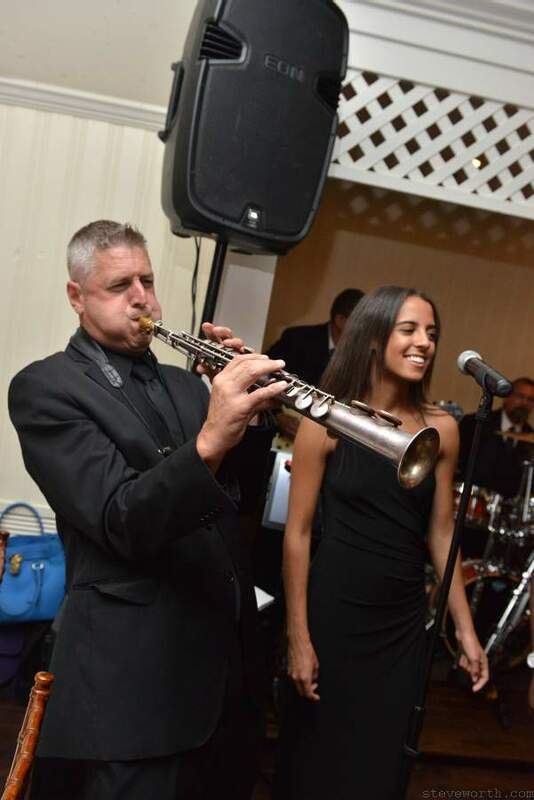 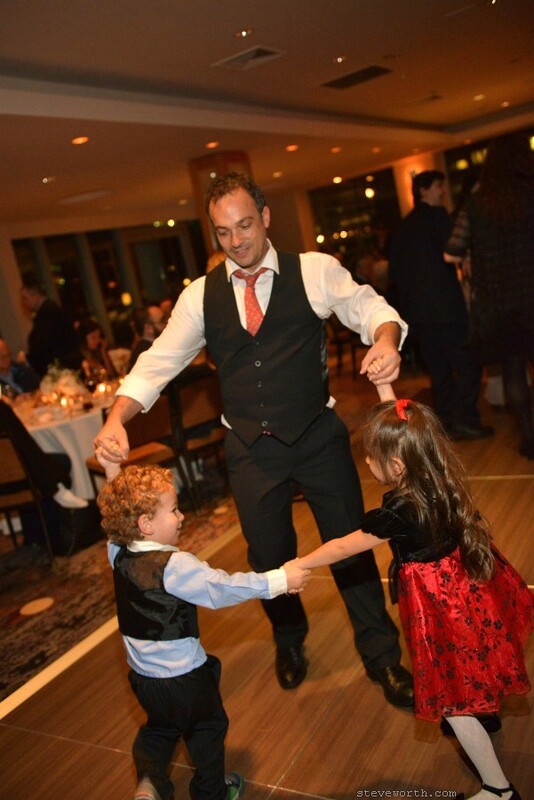 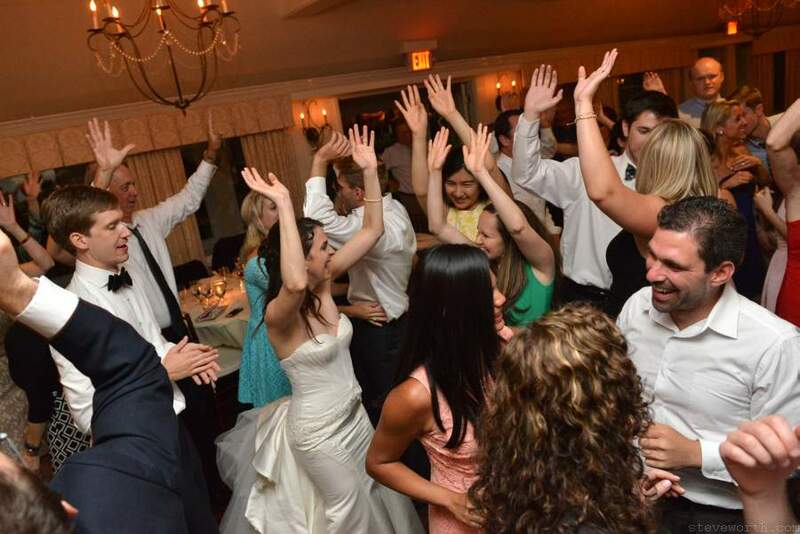 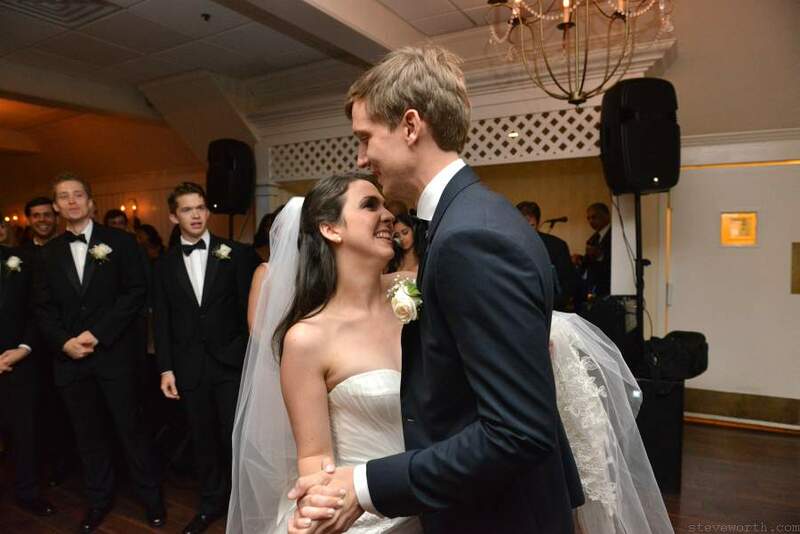 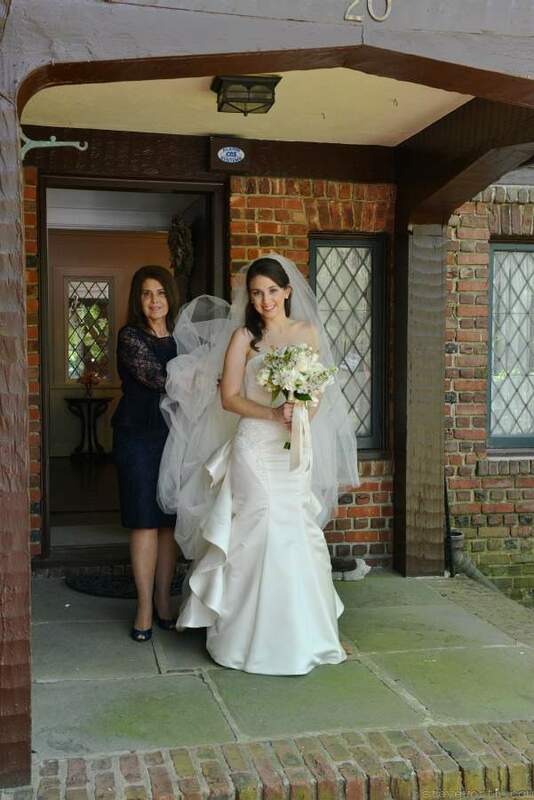 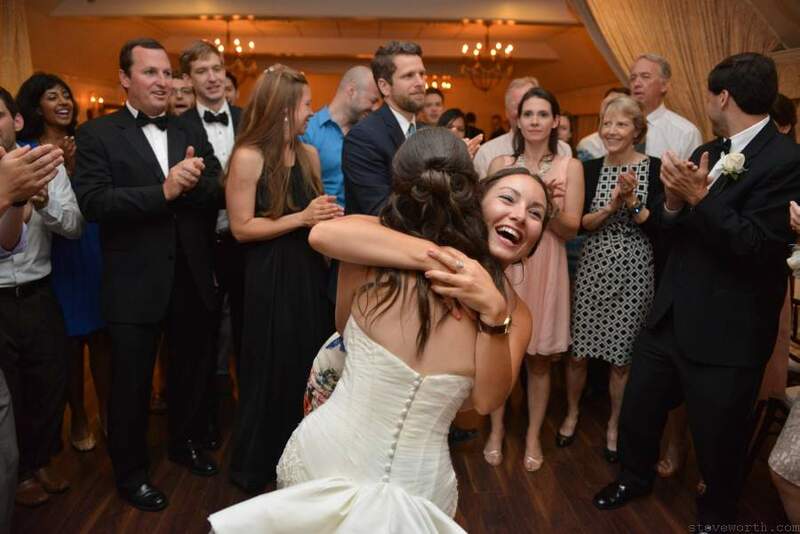 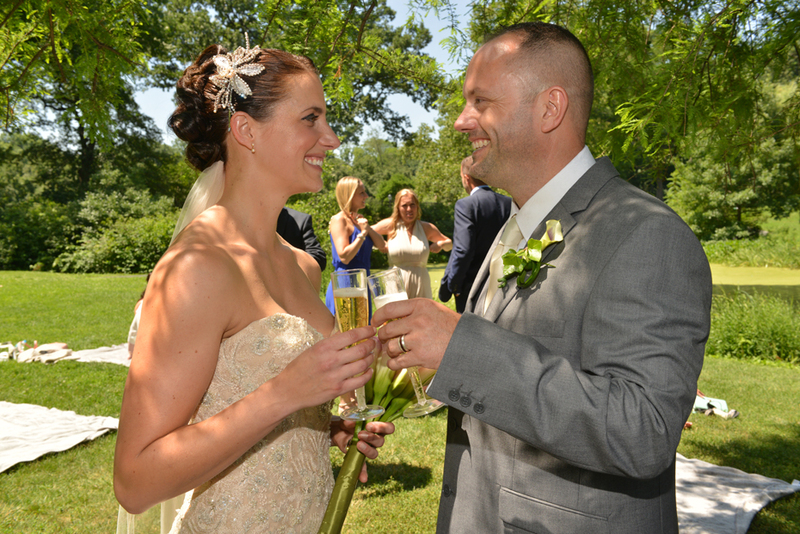 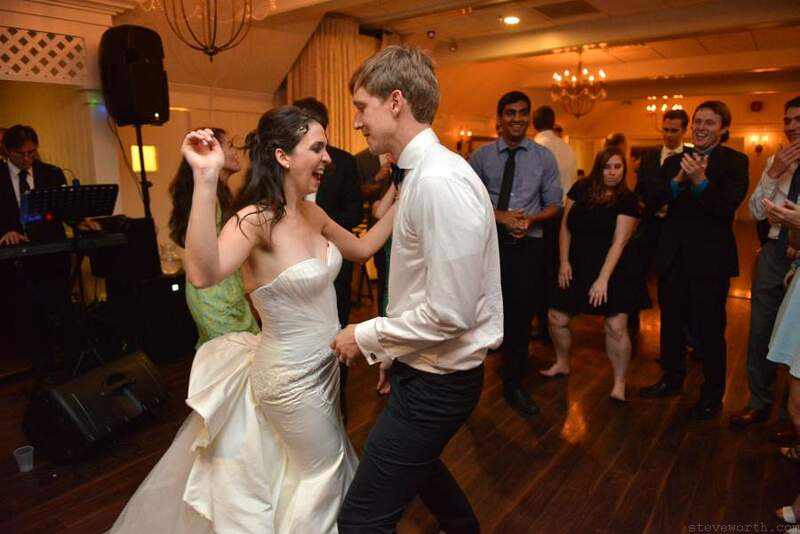 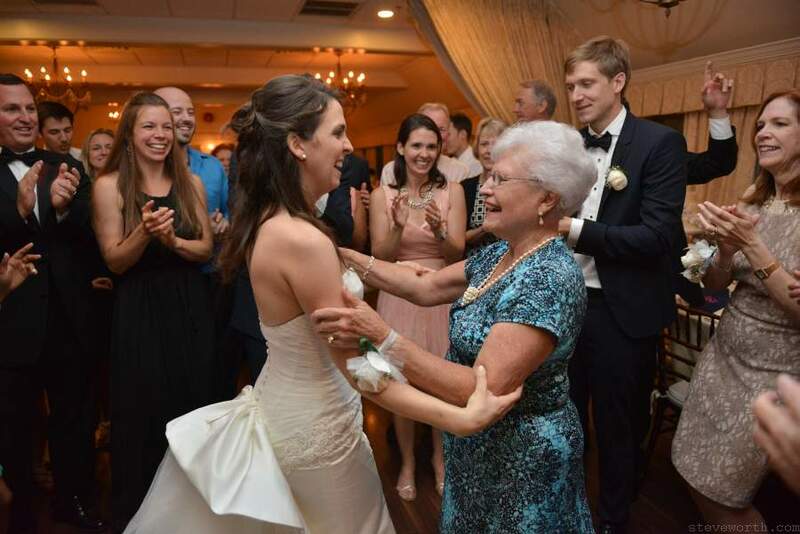 View photos from Lauren and John’s Wedding at Three Village Inn, Stony Brook ! 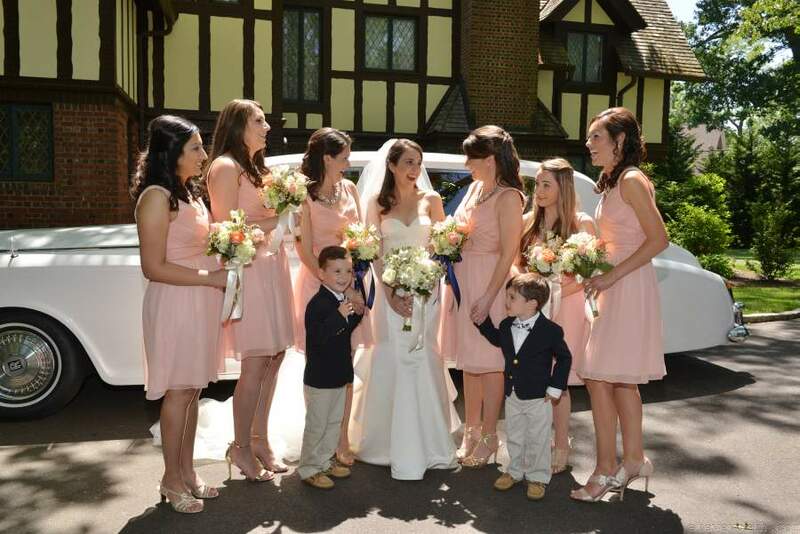 Lauren started the day with her family and bridesmaids. 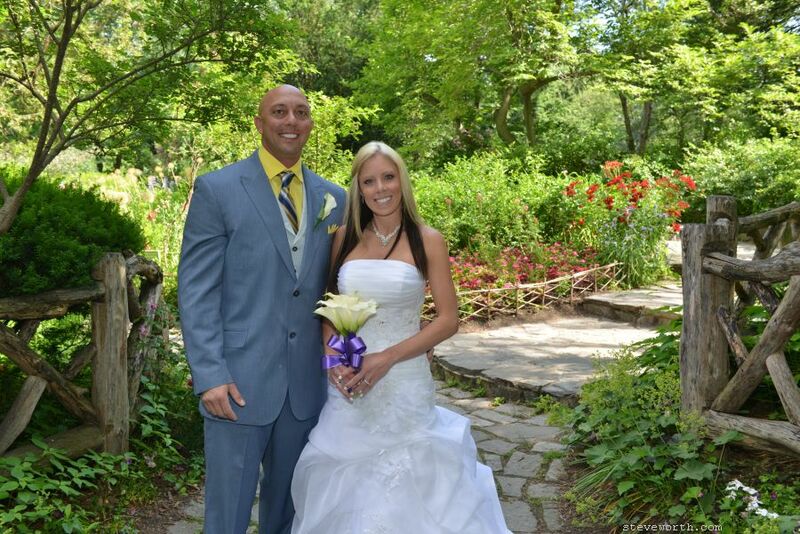 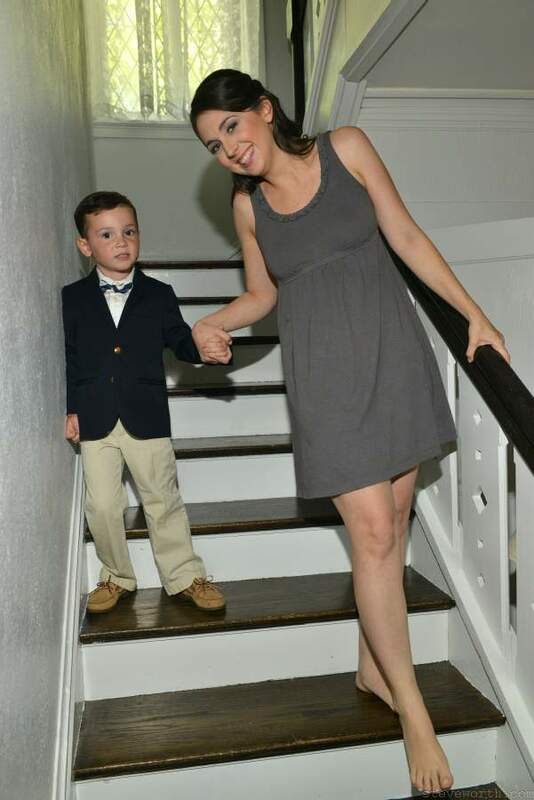 They got ready at her parents’ home in Belle Terre. 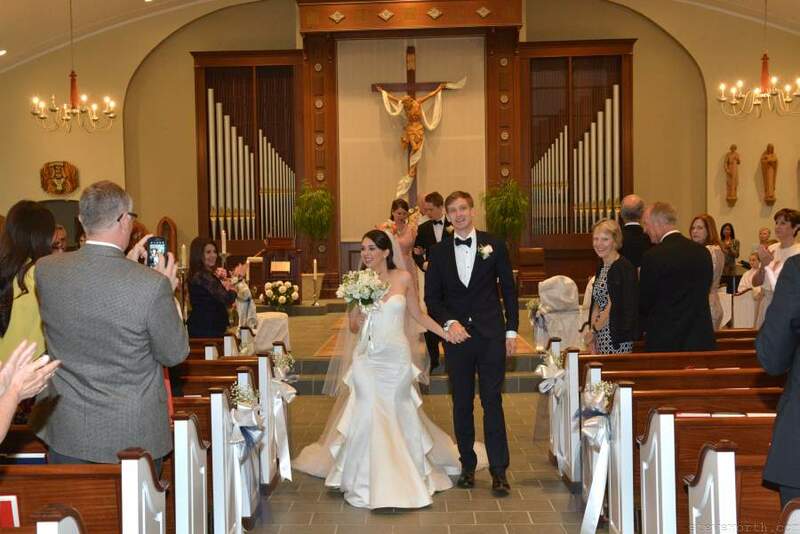 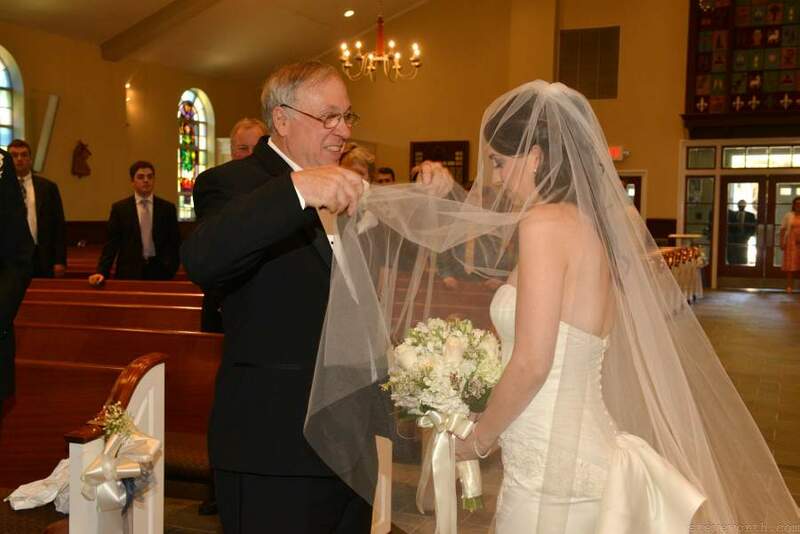 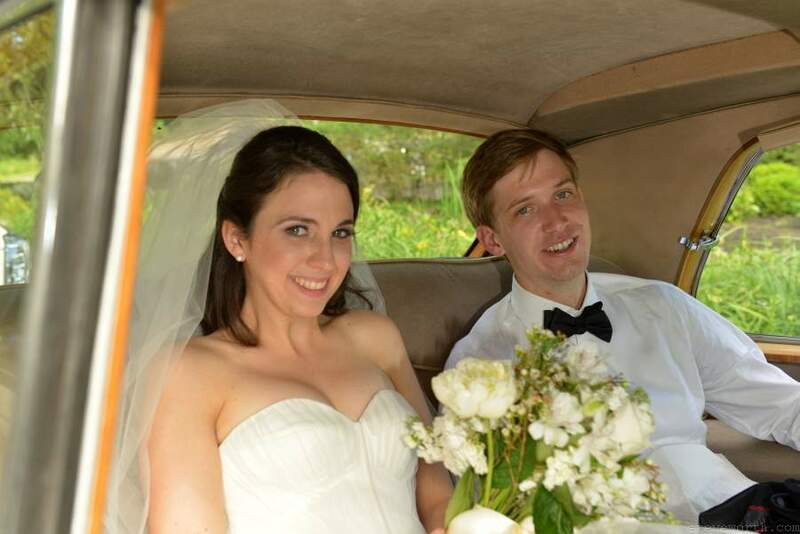 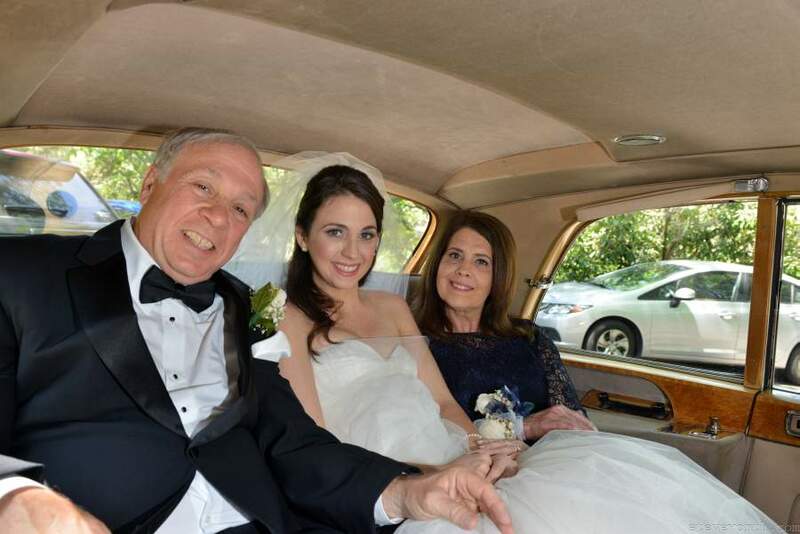 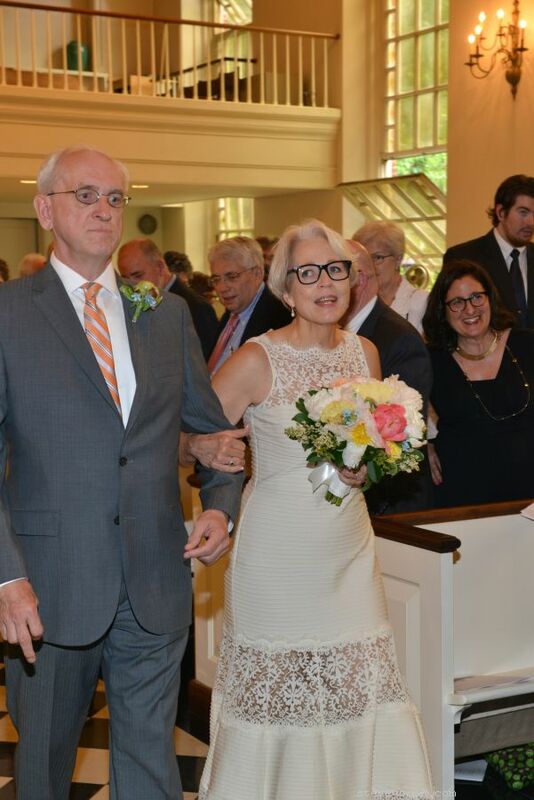 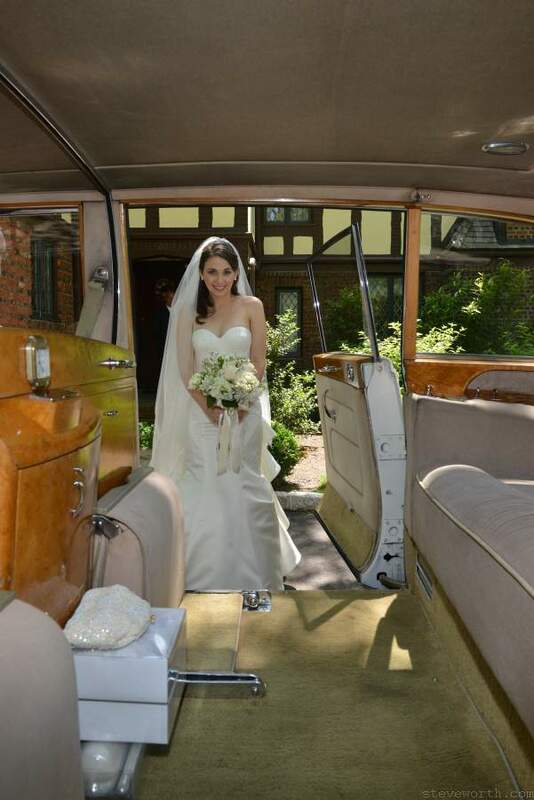 The Rolls Royce picked up the bride and her parents, and they drove to the ceremony at St. James in Setauket. 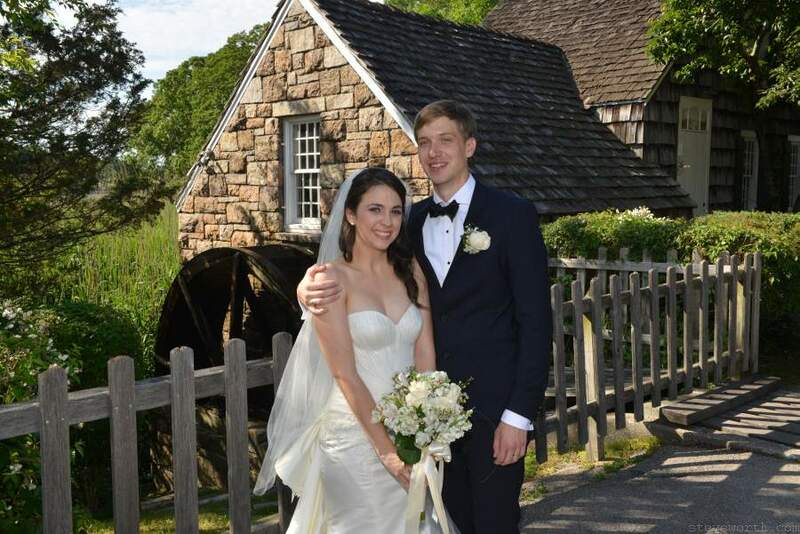 After the ceremony, the bridal party went to Mill Pond and took some photos by the old Grist Mill. 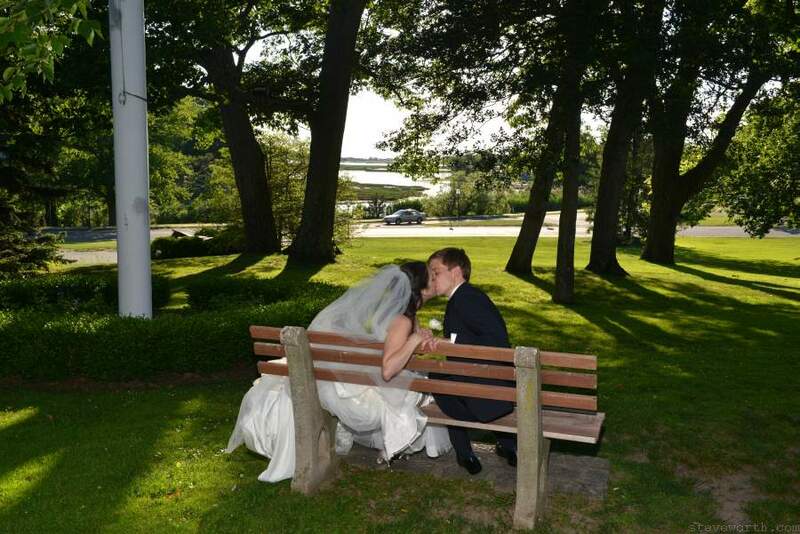 Then they went to the Stony Brook Harbor waterfront for family photos. 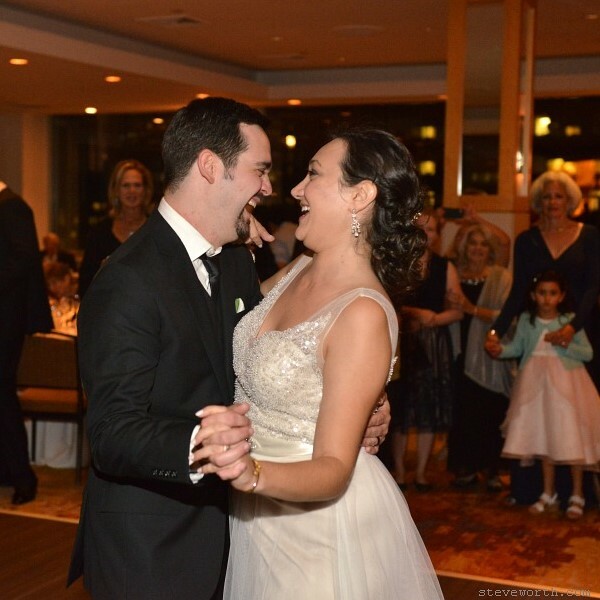 Finally they ended up at the reception, Three Village Inn. 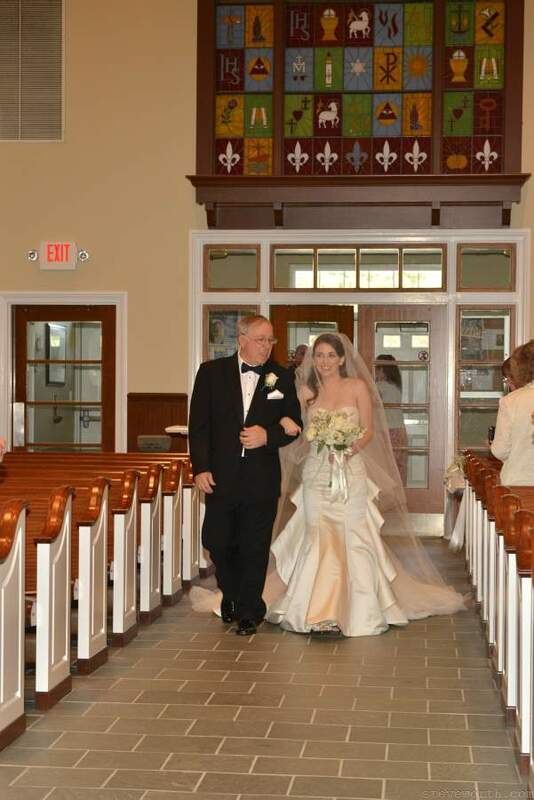 Lauren and John walking back up the aisle after their wedding ceremony. 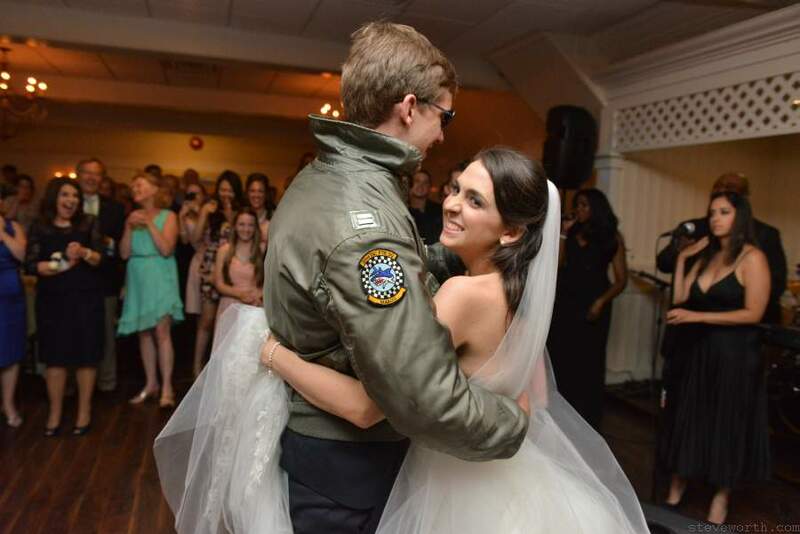 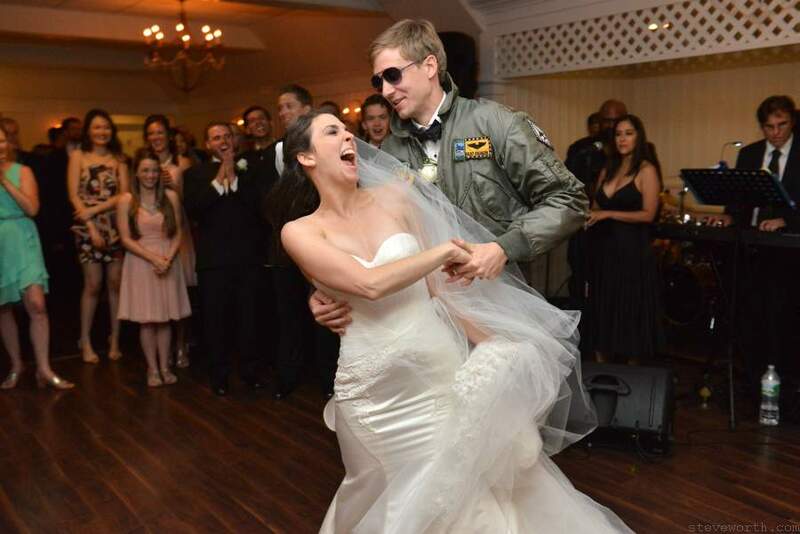 Second Dance, “Top Gun” style! 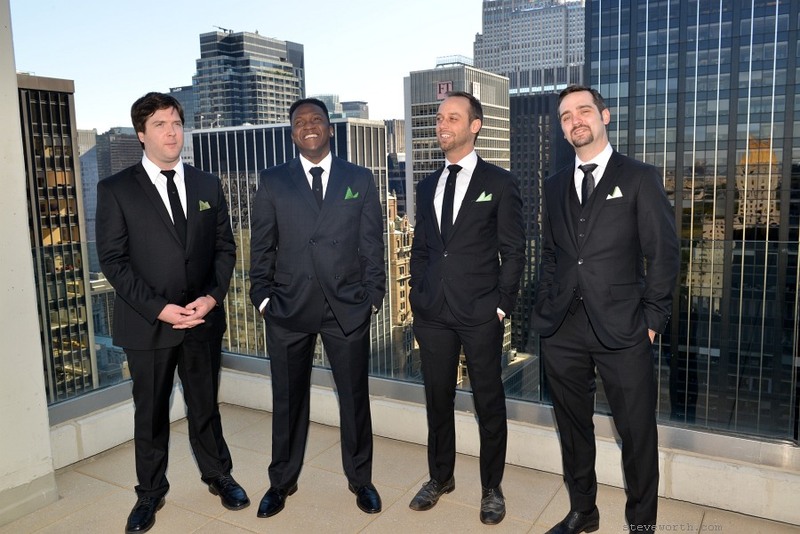 1 Step Ahead Band – Great Band!!! 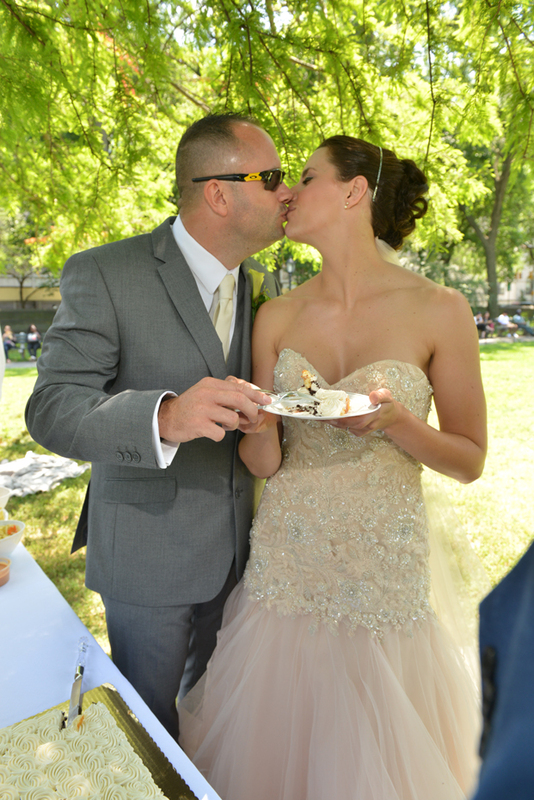 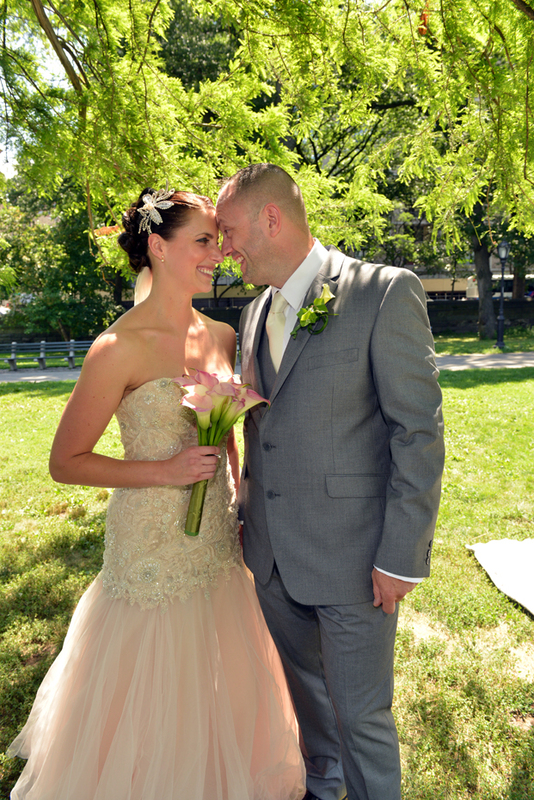 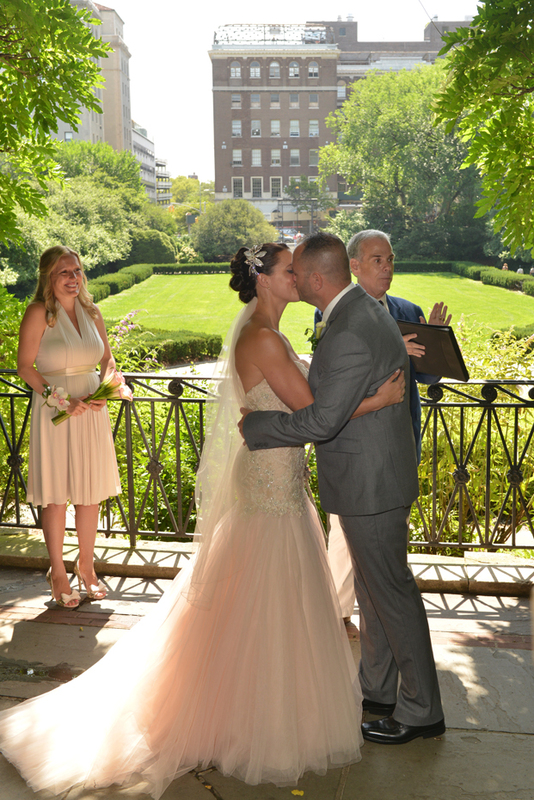 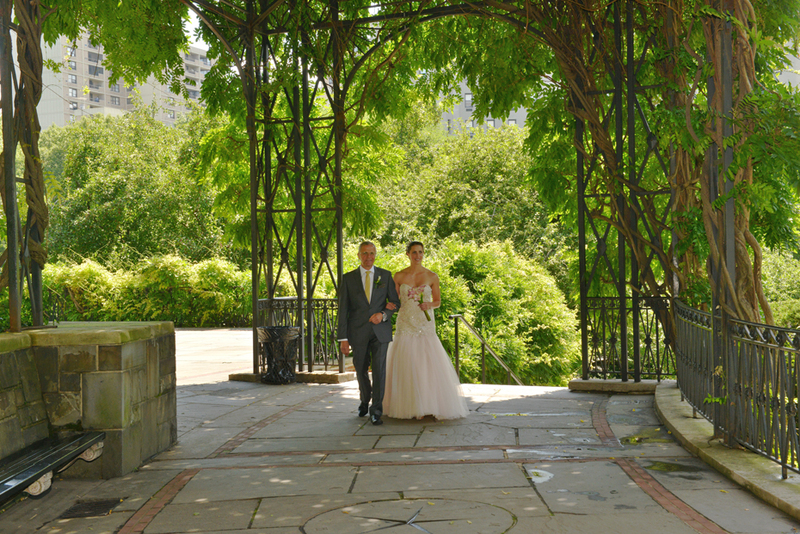 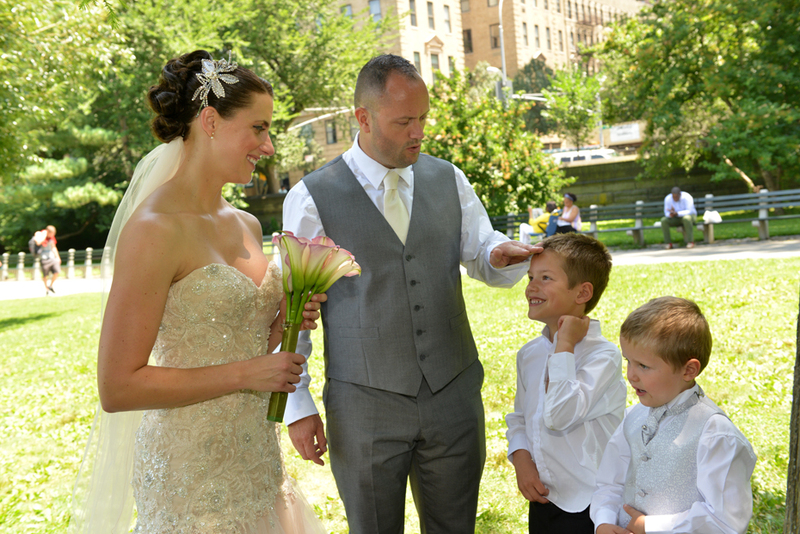 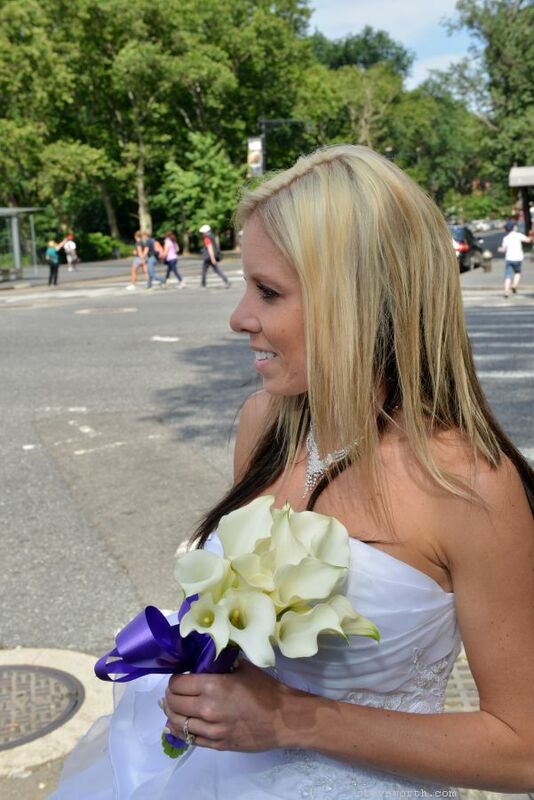 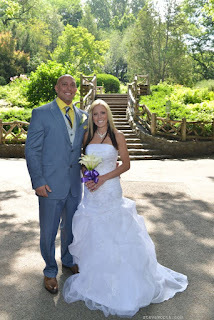 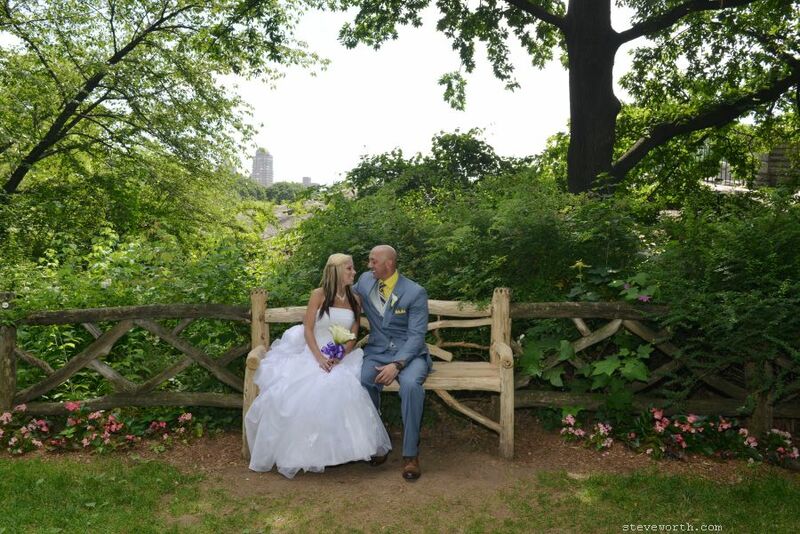 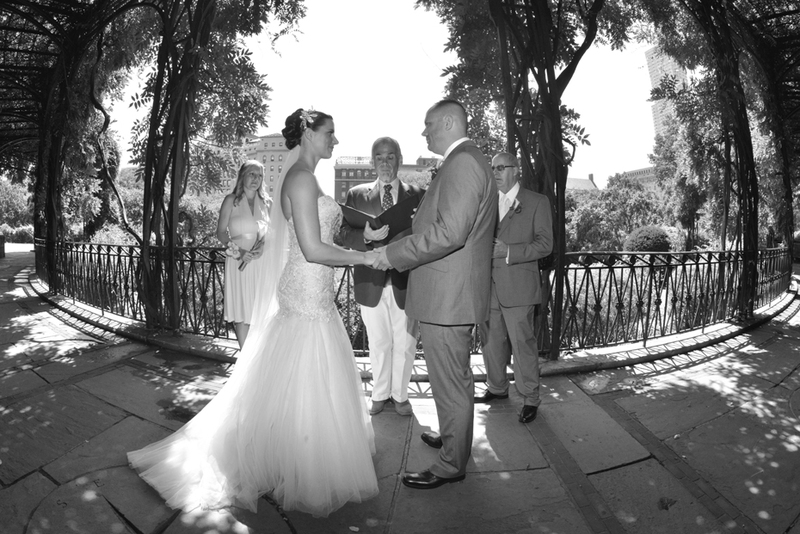 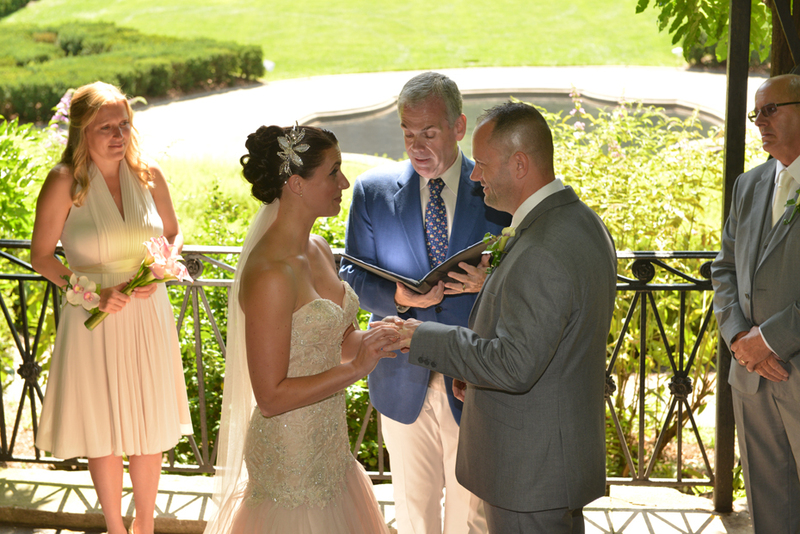 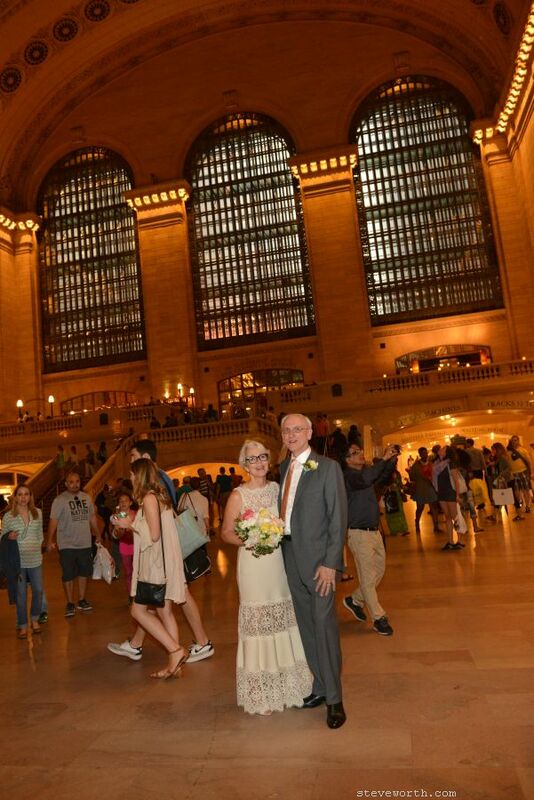 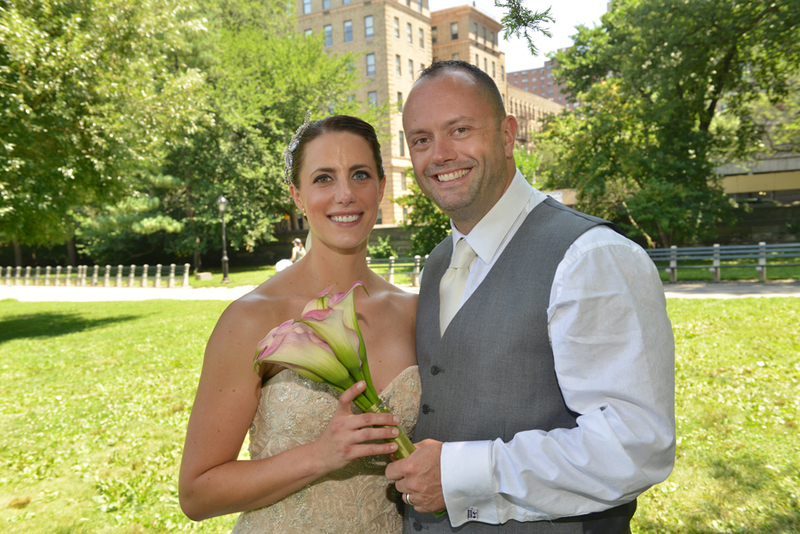 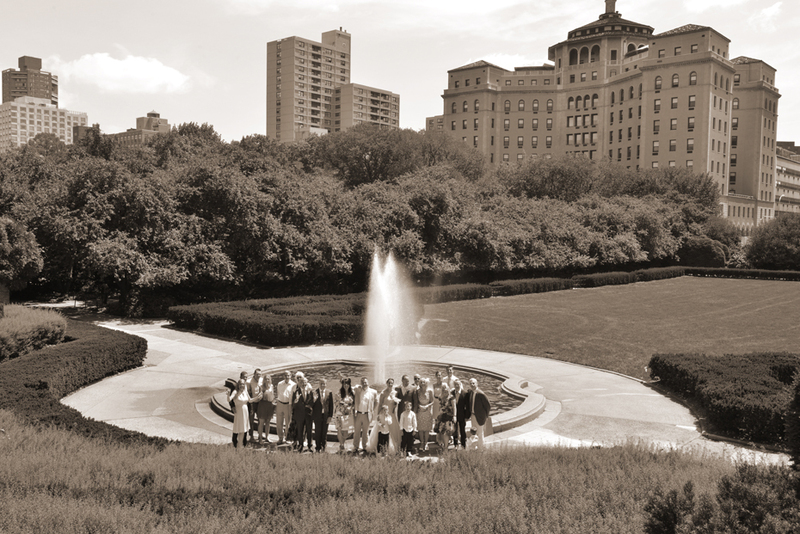 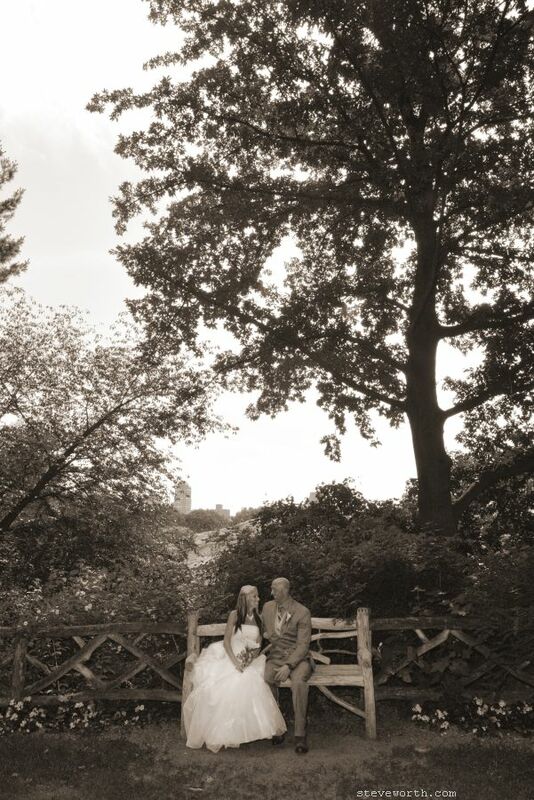 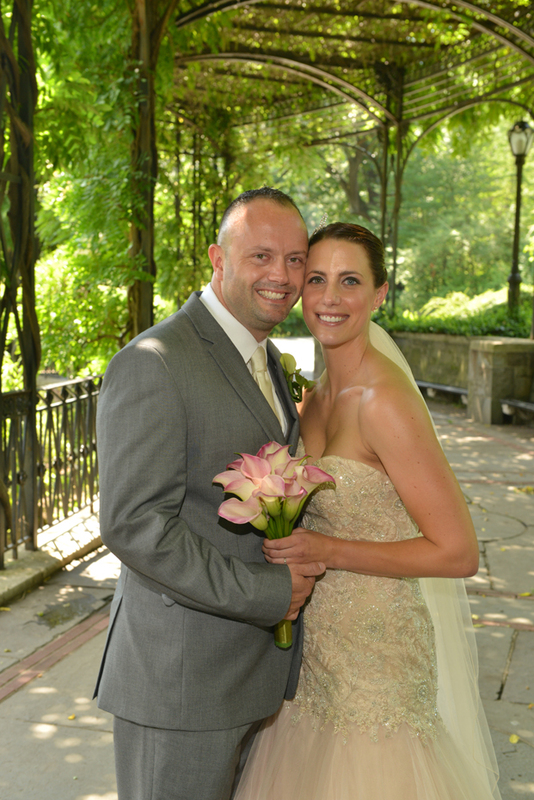 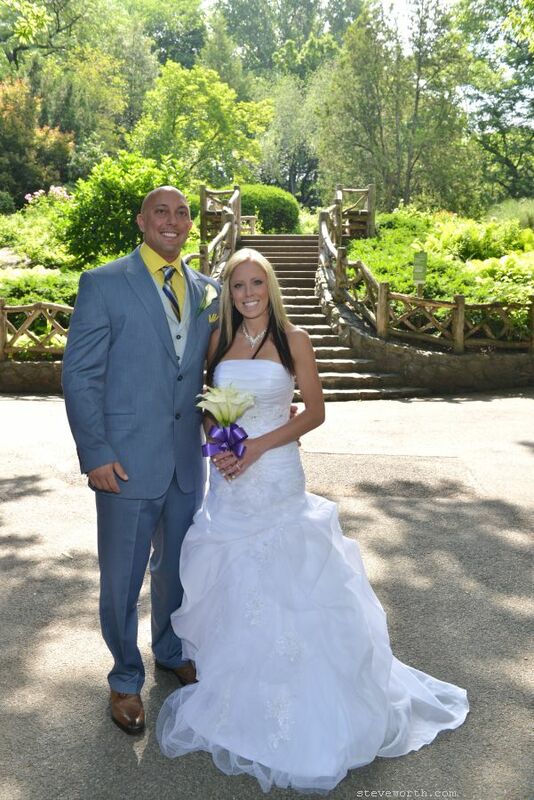 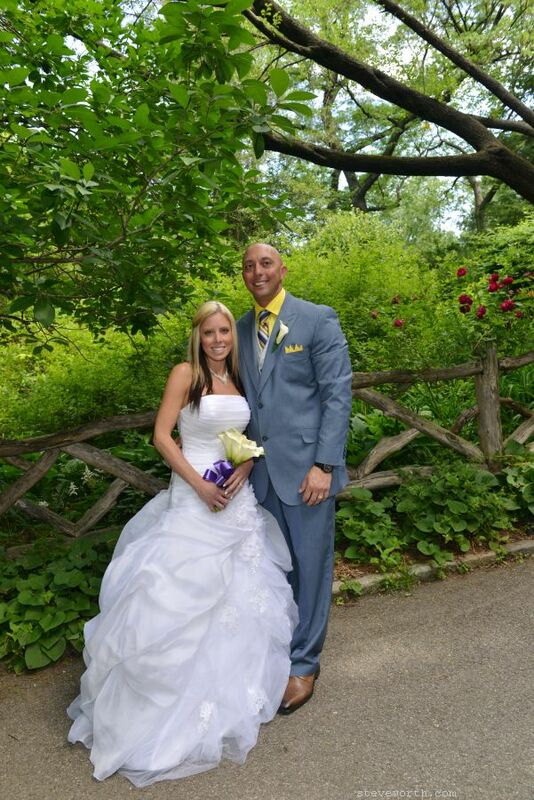 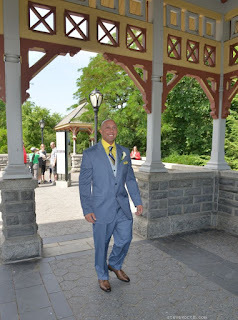 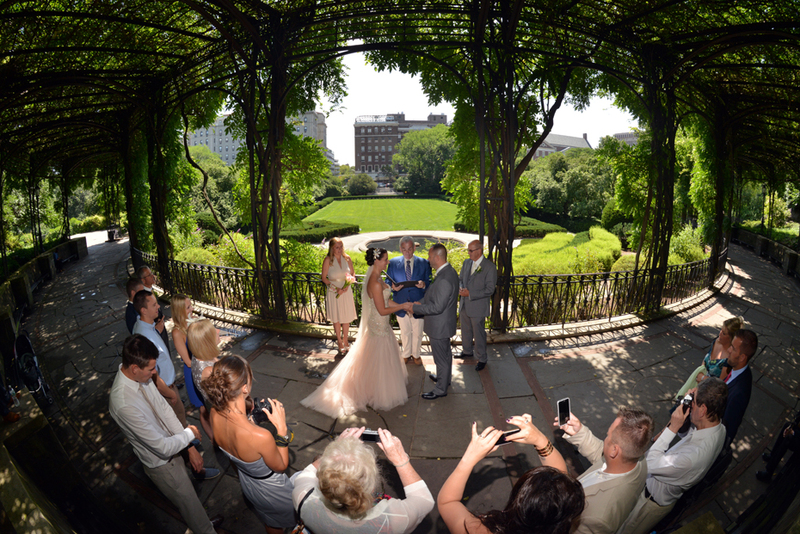 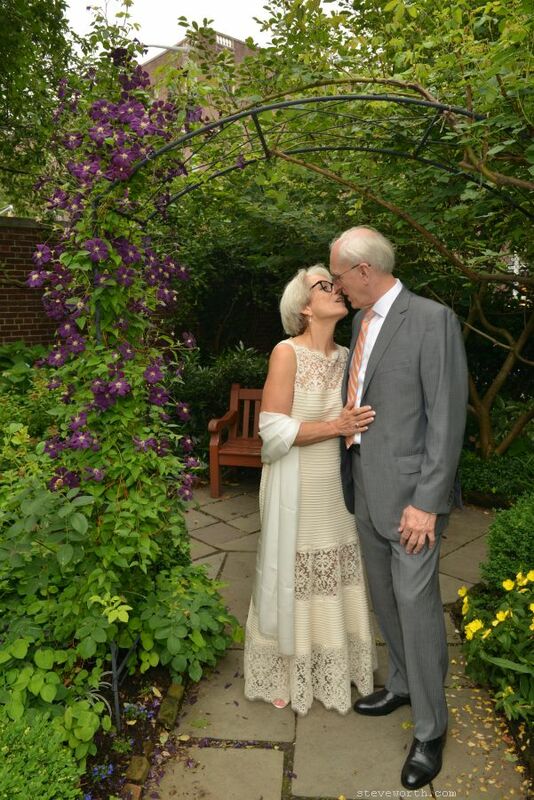 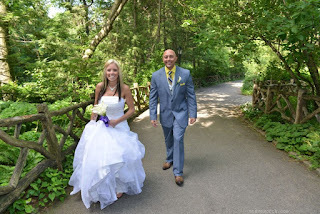 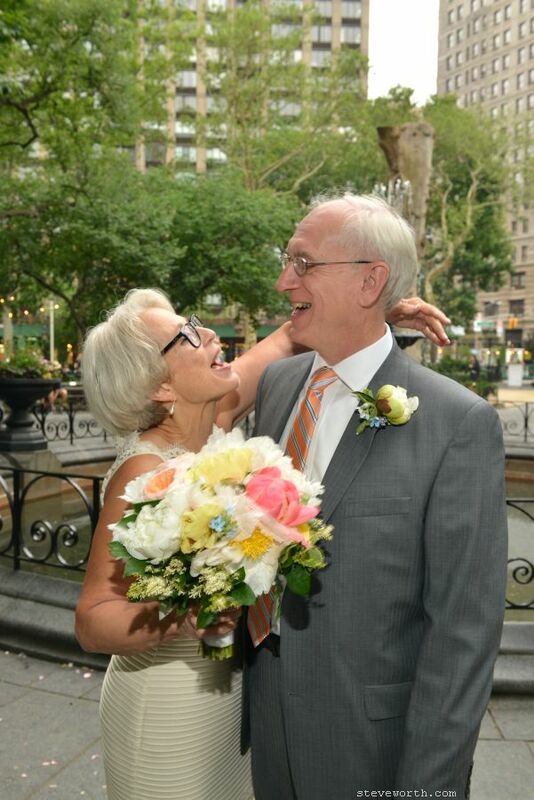 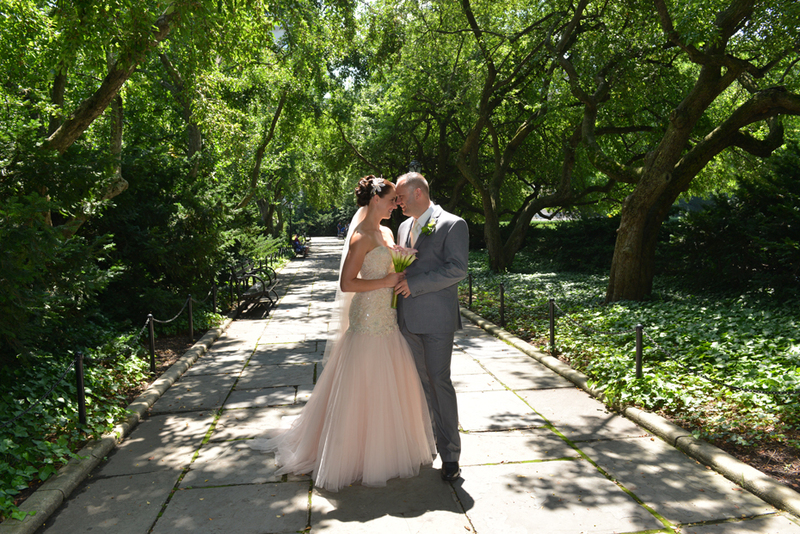 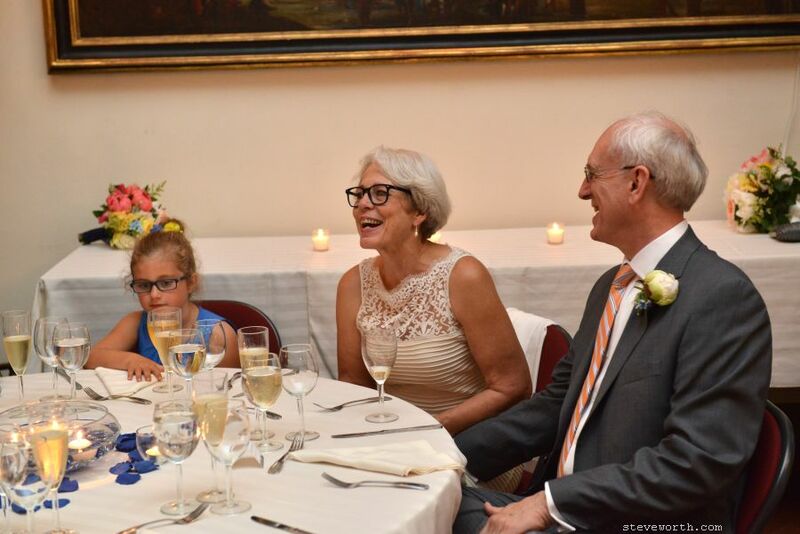 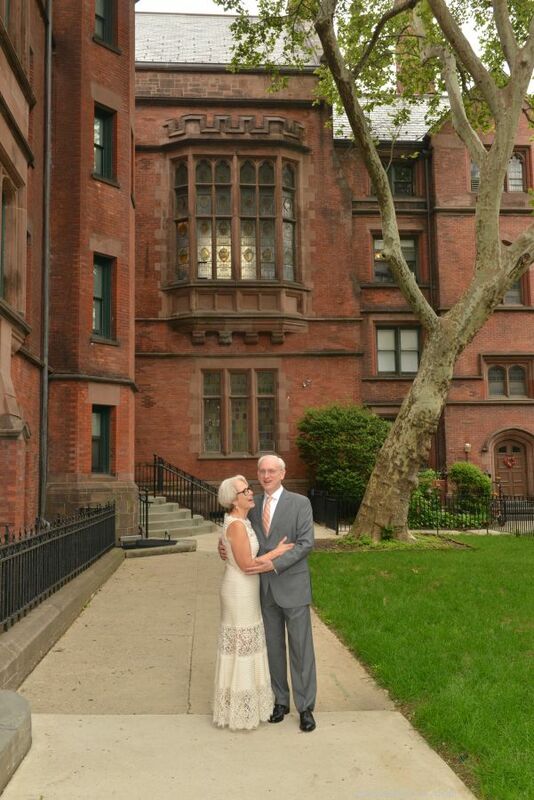 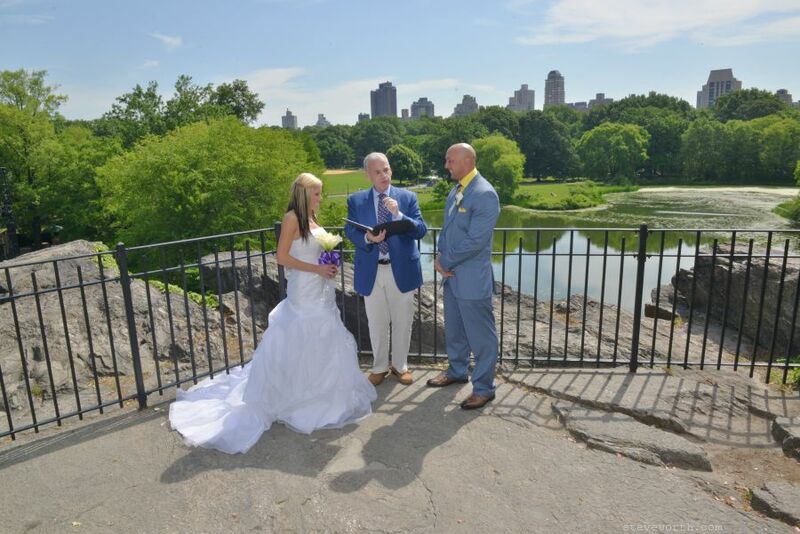 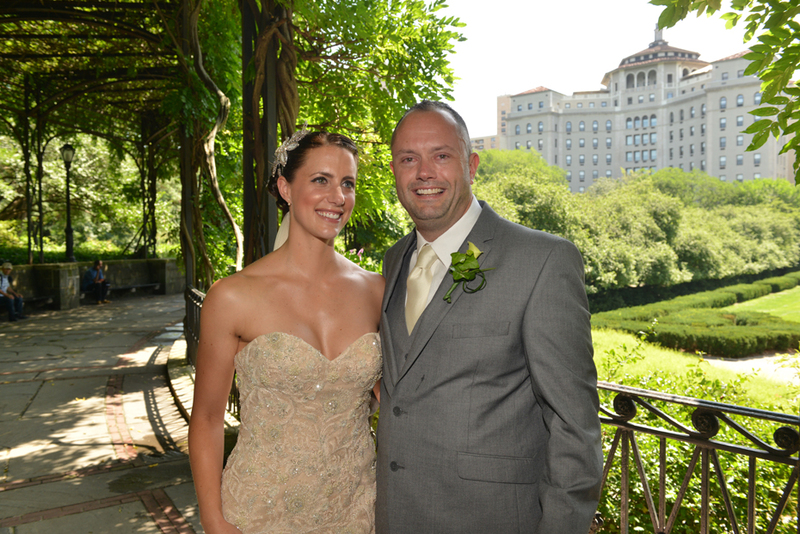 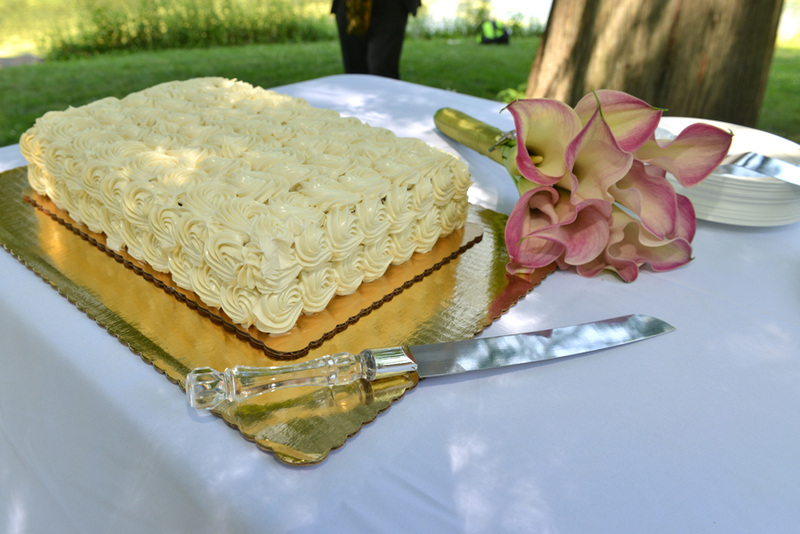 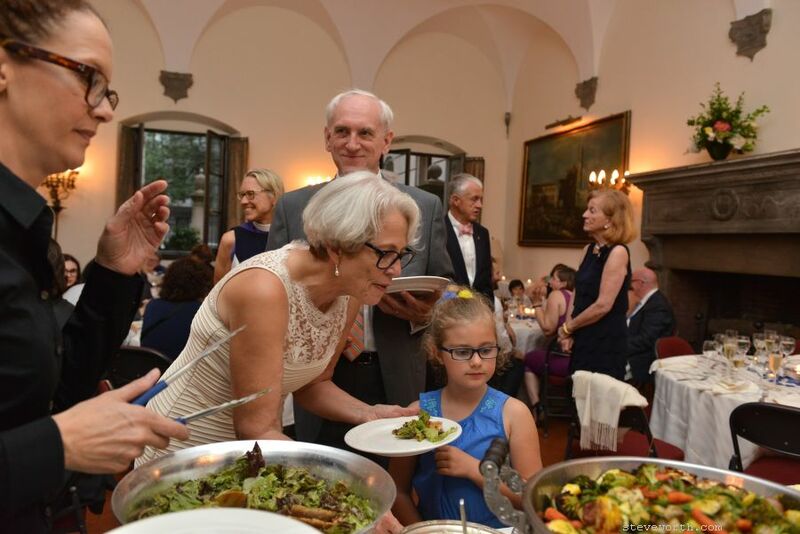 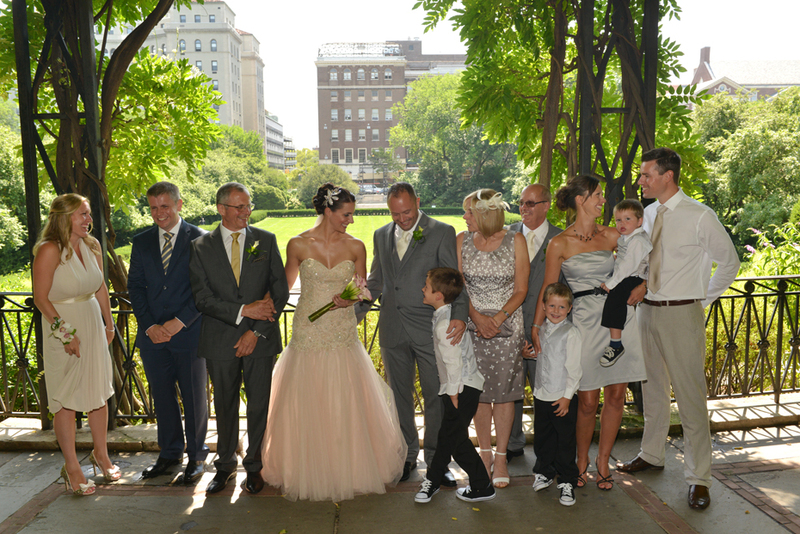 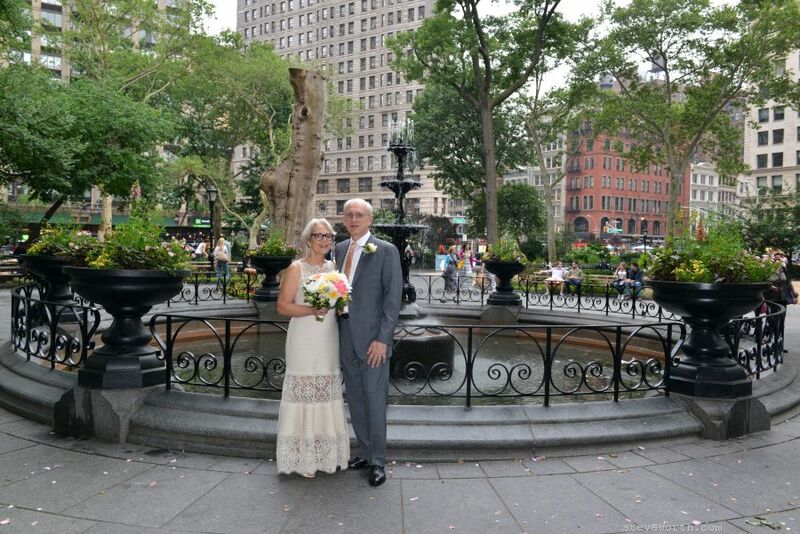 Rachel and Neal were married July 10th at the Wisteria Pergola in Central Park Conservatory Gardens. 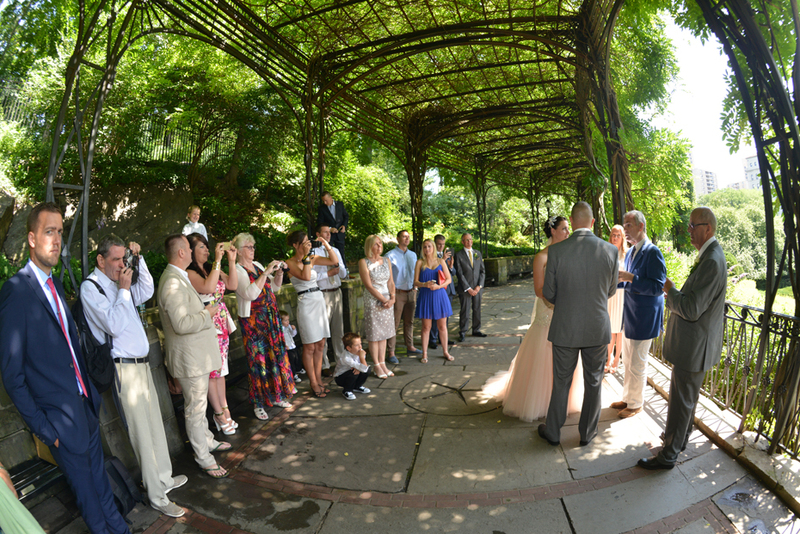 Their Harlem Meer picnic reception immediately followed in Central Park. 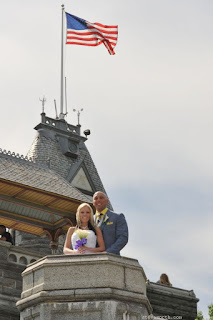 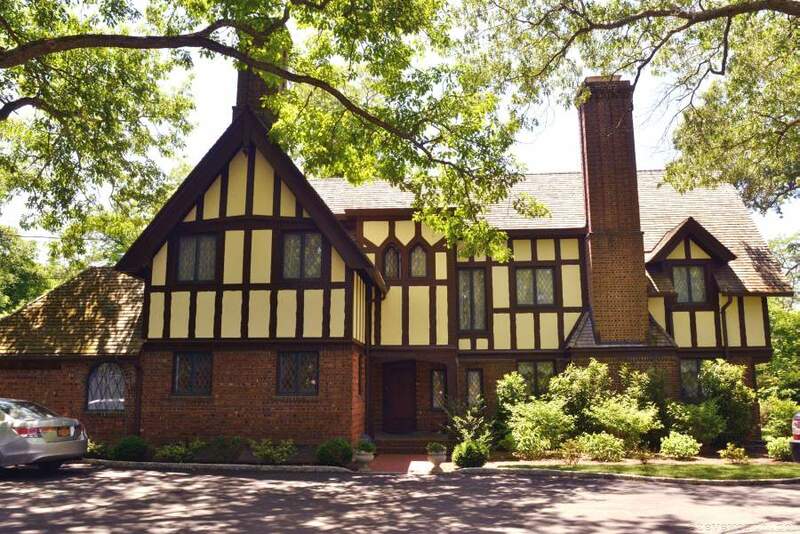 This was a destination wedding for the bride and groom, who both live in England. 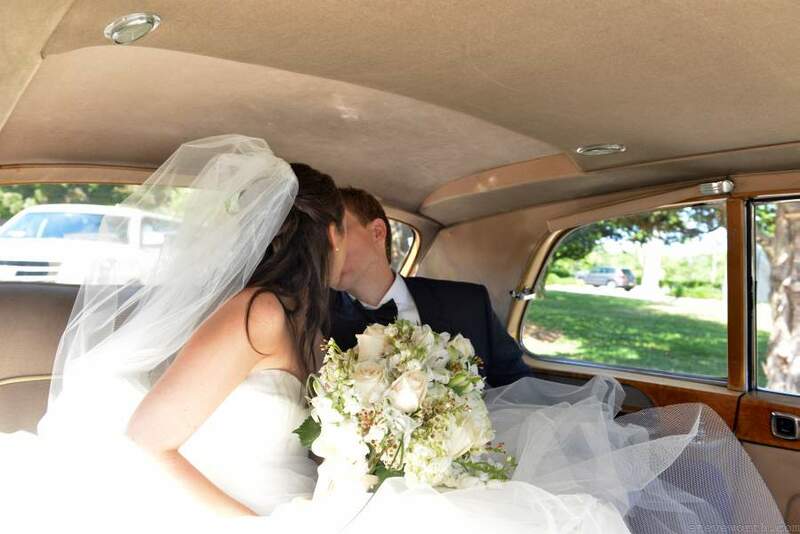 Their honeymoon was in the Florida Keys afterward. 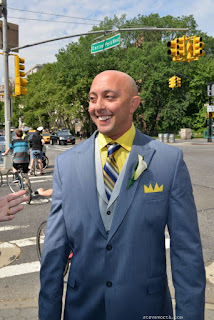 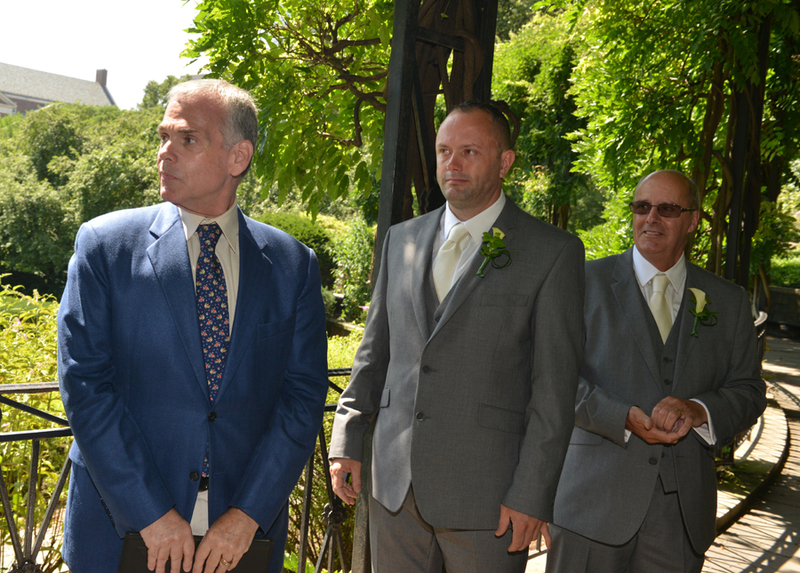 It was a nice day, a little hot during the ceremony. 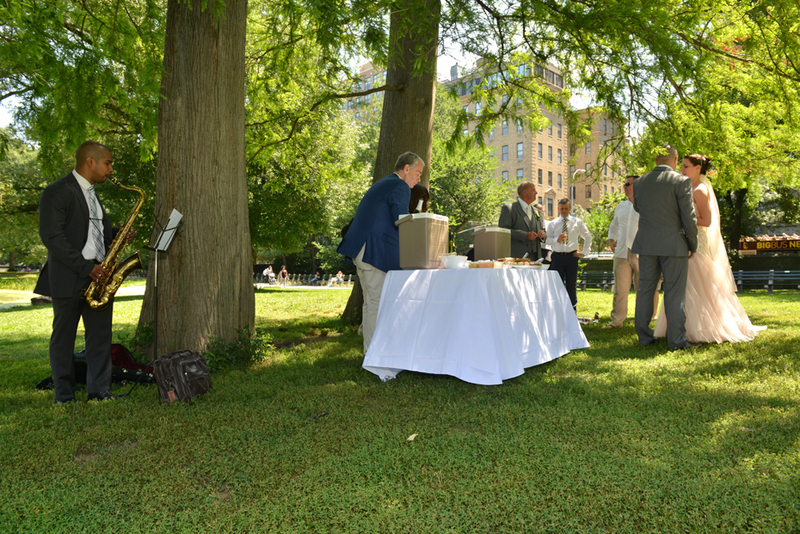 The reception was right on the lake in Harlem Meer (across from Mount Sinai hospital) and was very nice with a cool breeze. 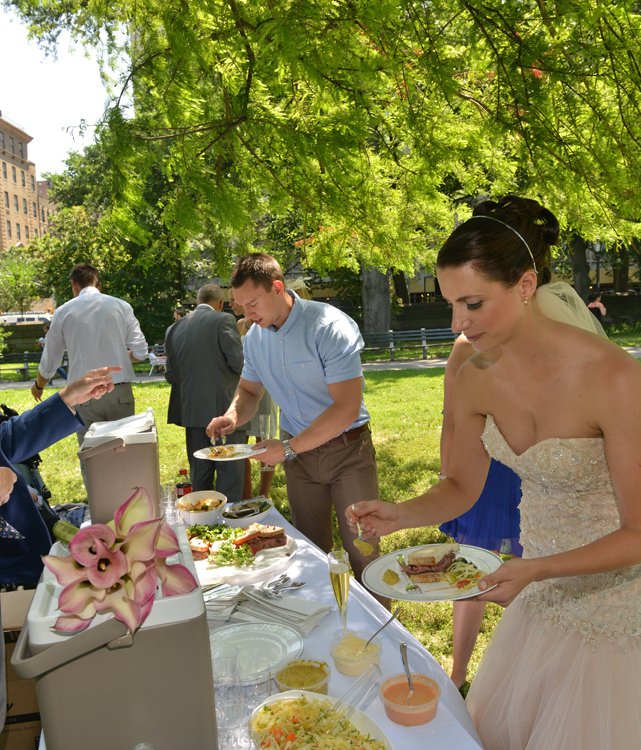 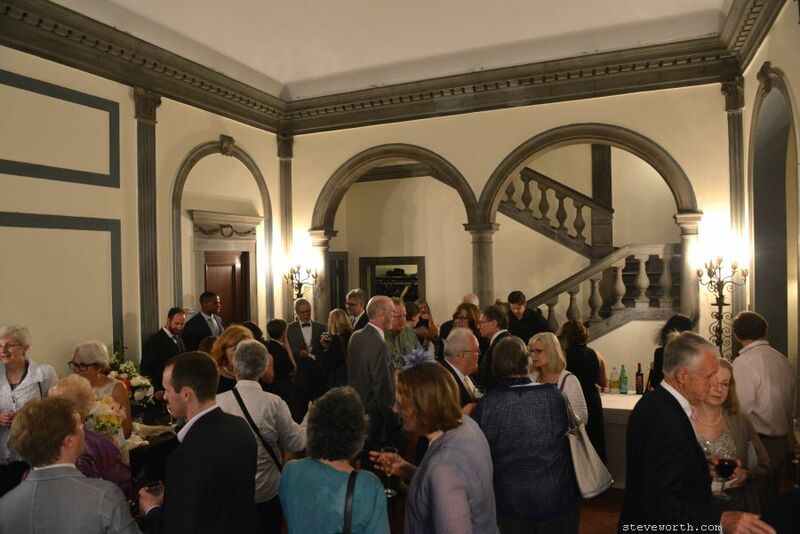 The food was from Second Avenue Deli, providing a great spread of sandwiches and salads. 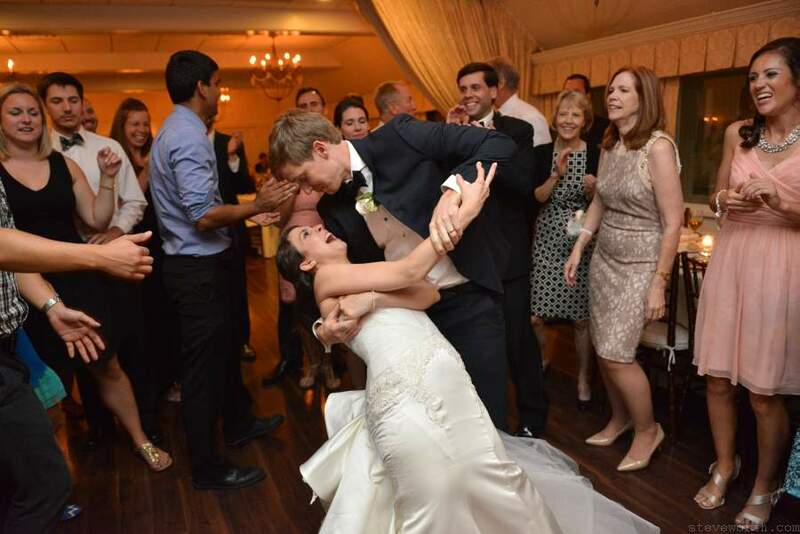 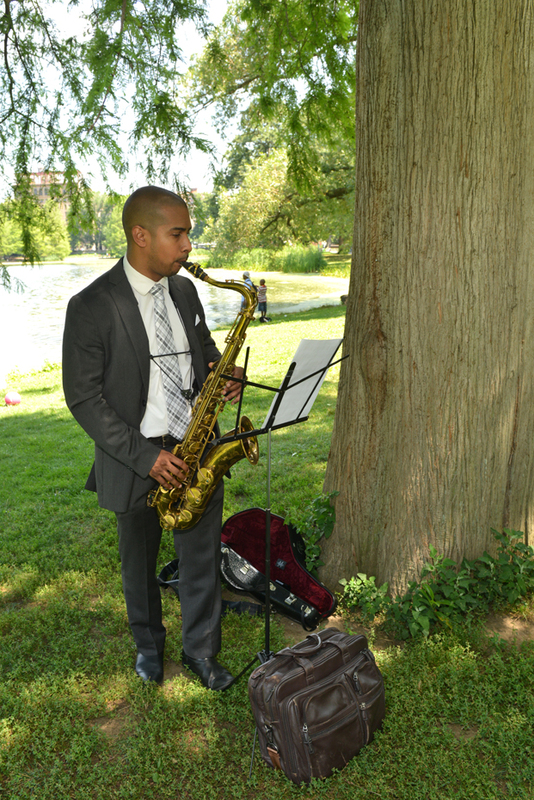 A saxophone player played the first dance song Gerry Rafferty – Right Down the Line, and he was great the whole time.